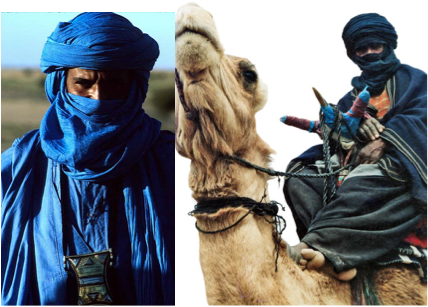 In this particular article we will discuss the history of the “Lost Tribes of Israel” and follow their ancient migrations into every corner of the Earth. 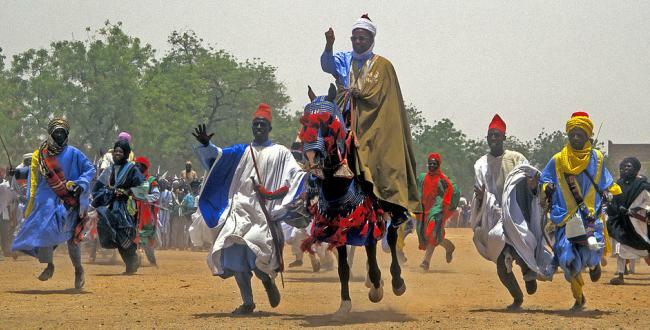 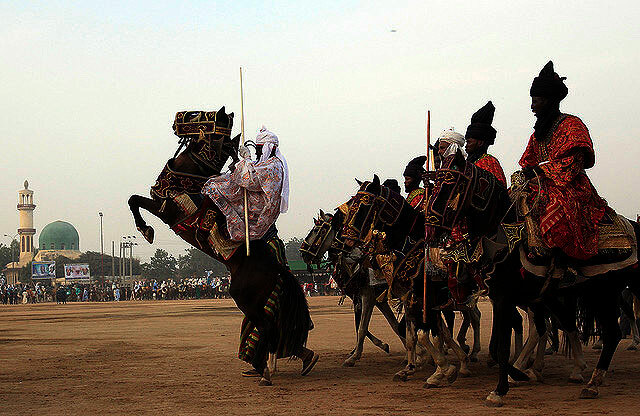 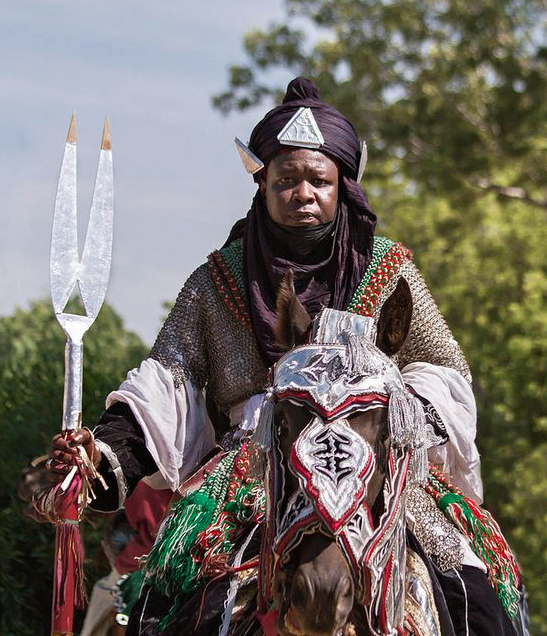 After reading this article, you will certainly learn many new things contrary to your current understanding of the ancestral and cultural identity of many different nations of the World. 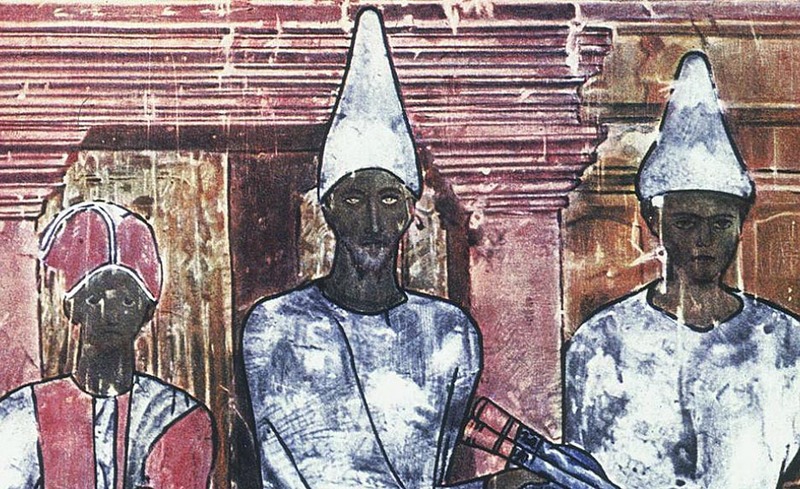 You will also discover that modern historians and academia have either purposely or mistakenly omitted certain historical information from the contemporary academic education curriculum, resulting in a completely different perspective of ancient history. 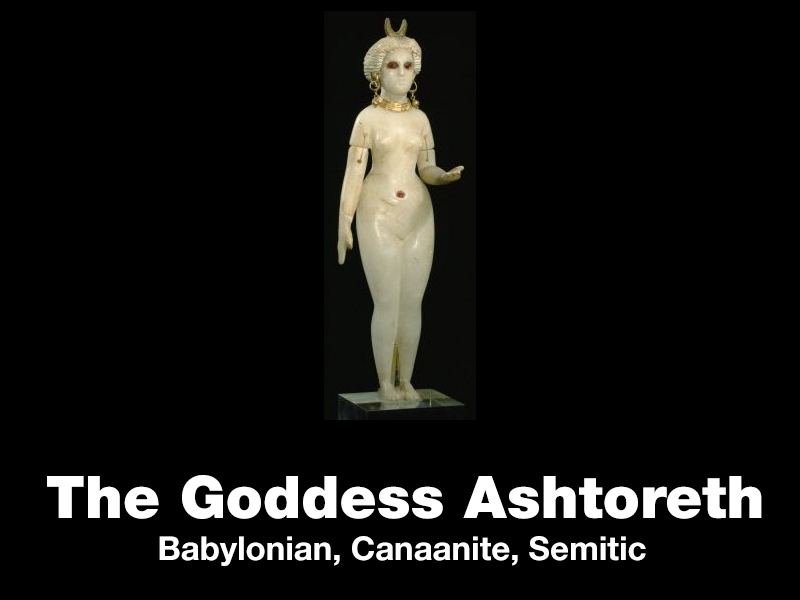 This has resulted in the belief that the ancient Israelites are either “Lost” in history and/or the assertion that the modern Israeli’s are the last remnant of the descendants of the Israelite descendants of Abraham, Isaac and Jacob – both of which are not true. 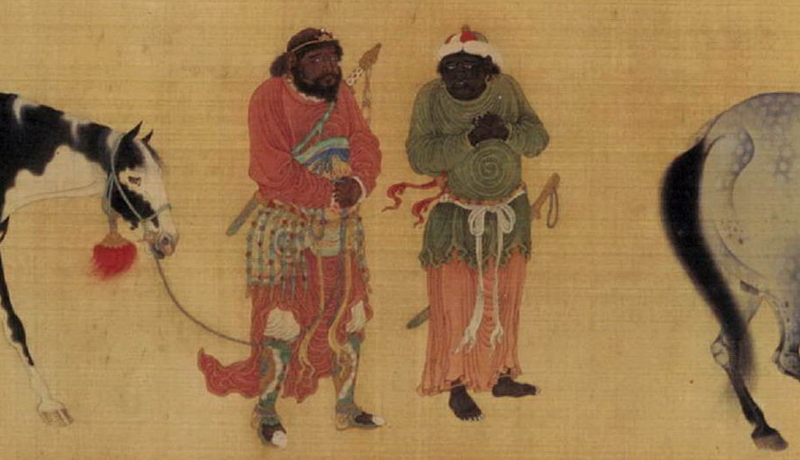 It is the intention of this article to provide some detailed information and visual images to help you make the connection between the historical record of the Hebrew Israelites (found in the Holy Bible) and secular history. 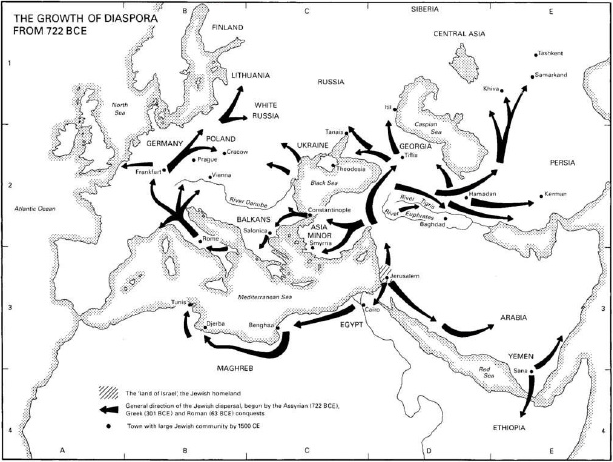 We will discover that the diasporas of the Israelites at different times and for different reason, has left branches of Israelite descendants scattered in every nation. 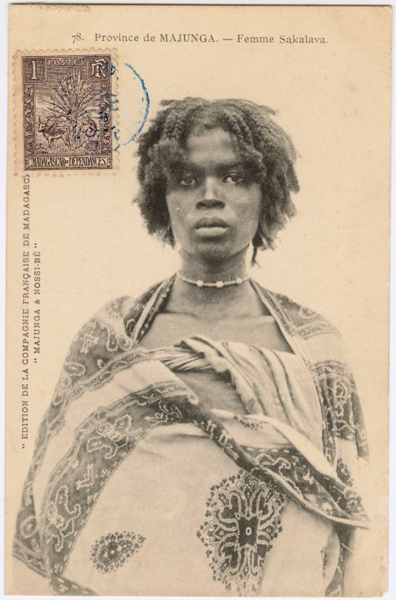 As a result we will discover that the Israelite branch that migrated into African lands have historical relatives across the Eurasian continent and the Americas. 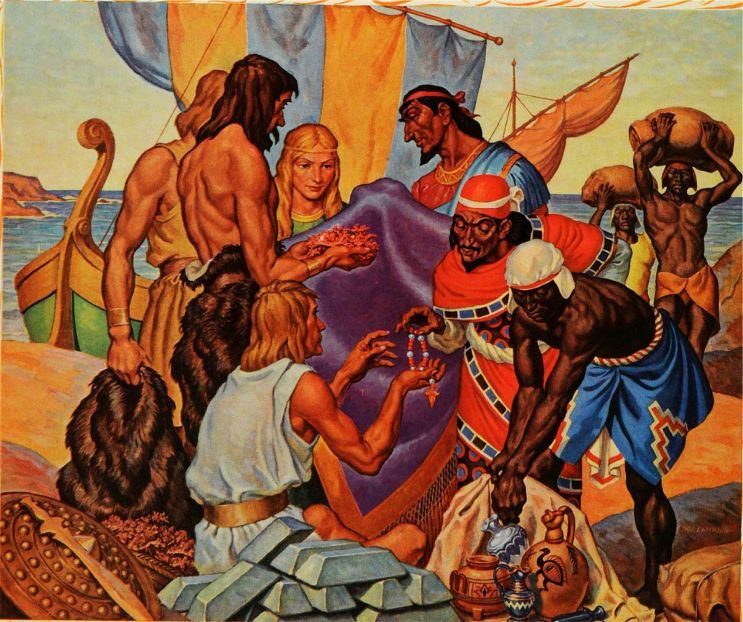 The information provided in this article will also provide support for the fact that the descendants of these Israelite founded many of the early civilizations of ancient times and it was because of their many contributions and prolific progeny in all nations of the Earth that they have been lost to history in fulfillment of the crafty council discussed in Psalms 83:1-7. 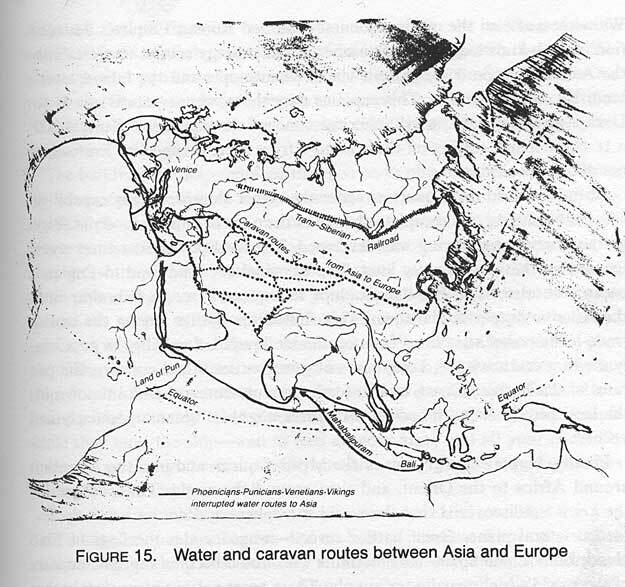 Hiding the name and history of the Israelites behind the name of the Scythians, among many other names, has made it difficult to connect the dots between biblical records and modern history but after reading this article it should become very apparent that the Word of Bible is completely accurate and the Israelites were definitely scattered throughout all corners of the Earth into every nation and kingdom, just as the Most High God AHAYAH (I AM that I AM, Exodus 3:13-15) said that they would be. 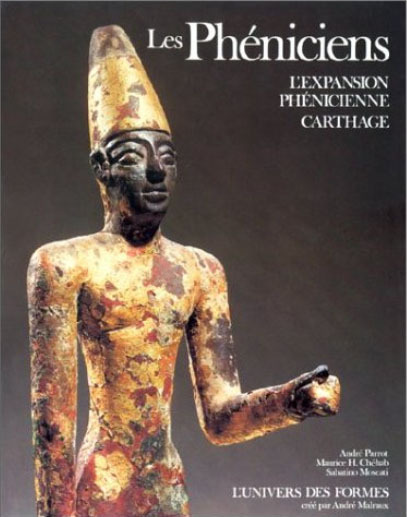 Let’s now begin to discover part the history of the ancient Israelites and their associations with the Scythians and Aryans of secular history. 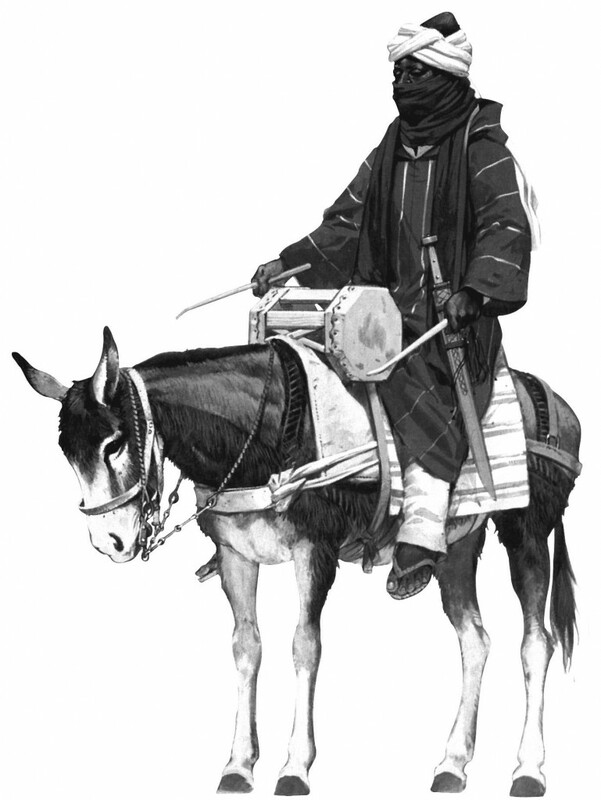 During the Assyrian and subsequent captivities of the Israelites, many of them lived as nomads in loose confederations of tent cities. 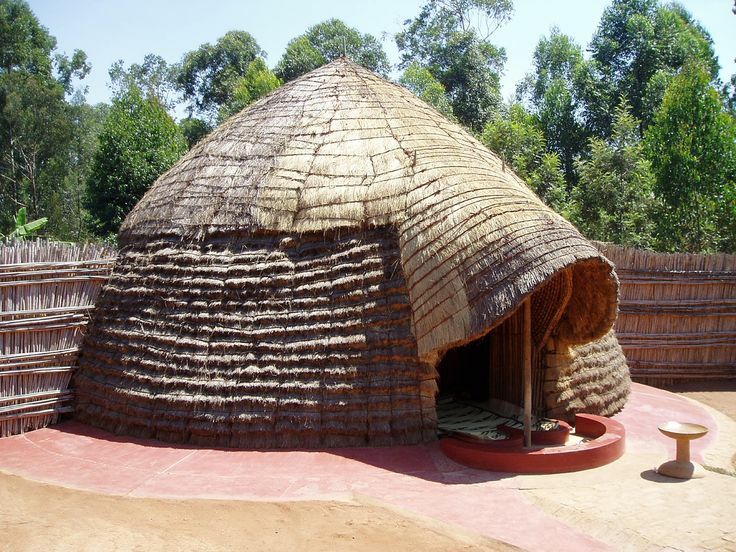 These temporary dwelling of the Israelites (known of Scythians in secular history) were identical to the Succoth temporary dwellings of the ancient Israelites. 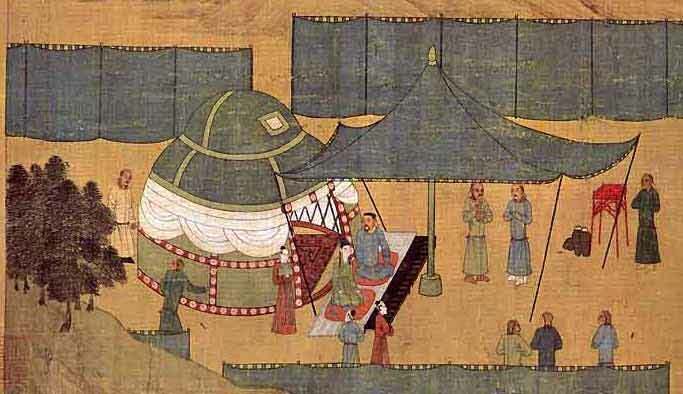 Some historians assert that the Scythians or Scythes/Scuths got their name from the fact that they were nomadic tent-dwellers. 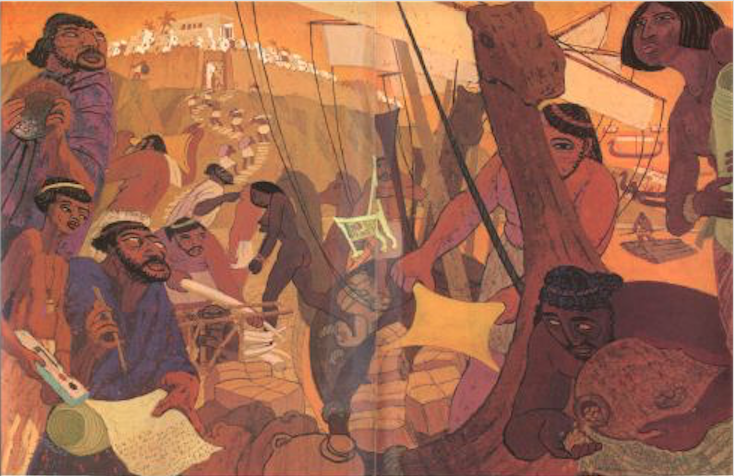 Like nomads, they traveled around in their “booths”. 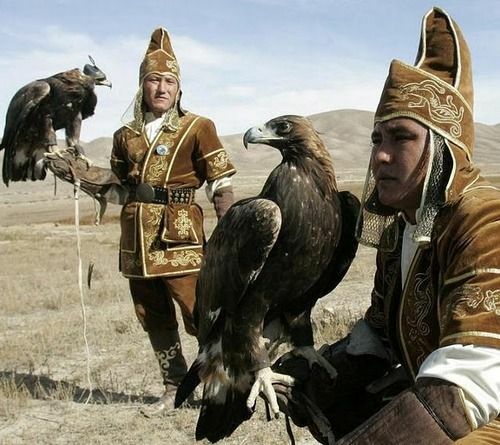 The name Scythian goes all the way back to the Hebrew word Succoth. 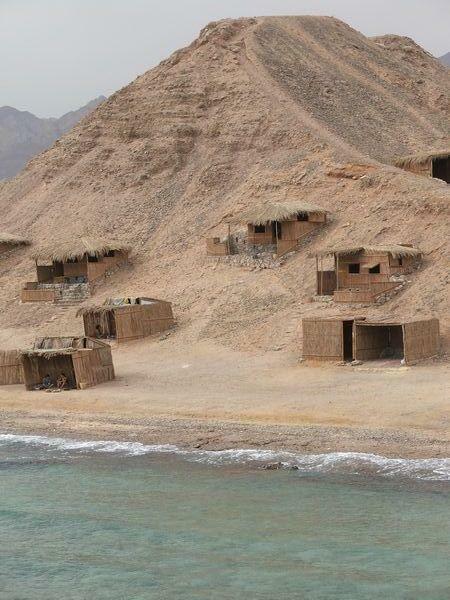 Succoth was a town that the Israelites lived in while in Egypt located in the North East delta region. 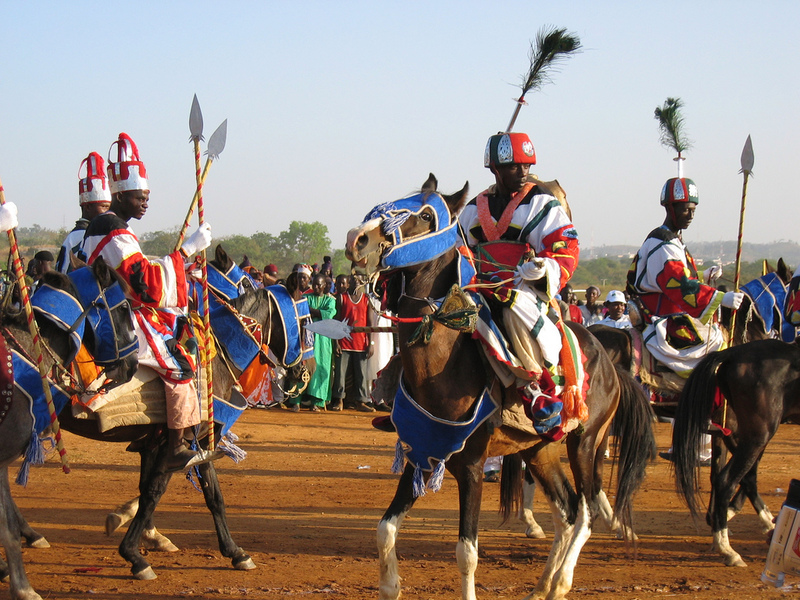 The Israelite Feast of Tabernacles is also known as the feast of Succoth. 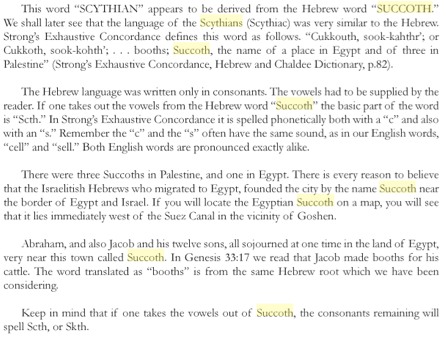 Succoth means “booth” or “tent”. 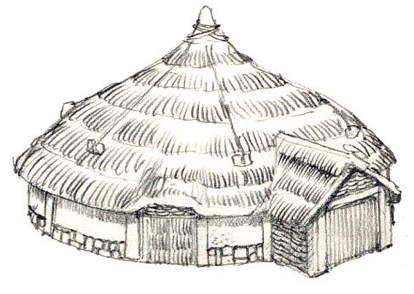 • סֻכָּה çukkâh, sook-kaw’; a hut or lair: — booth, cottage, covert, pavilion, tabernacle, tent. 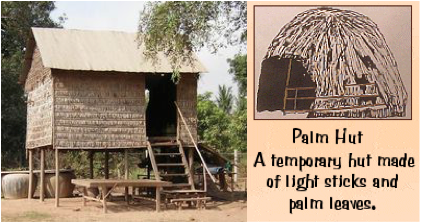 During the feast of tabernacles the Israelites are instructed to make booths or tents/tabernacles, which are temporary shelters constructed of tree limbs and branches. 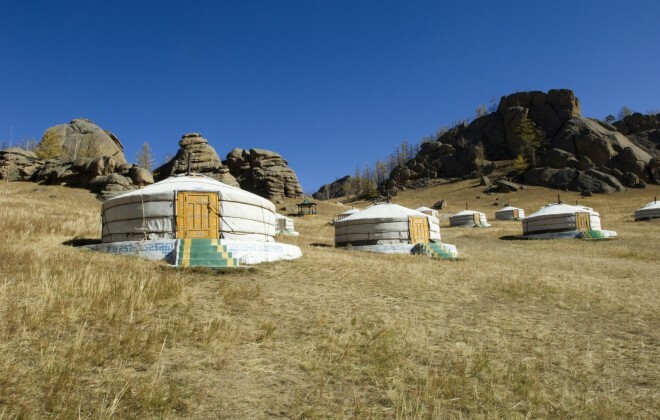 These huts are to be dwelled in for 7 days during the Feast of Tabernacles to remind the Israelites of all the time they spent in the desert as nomads while the Most High completely provided for them. 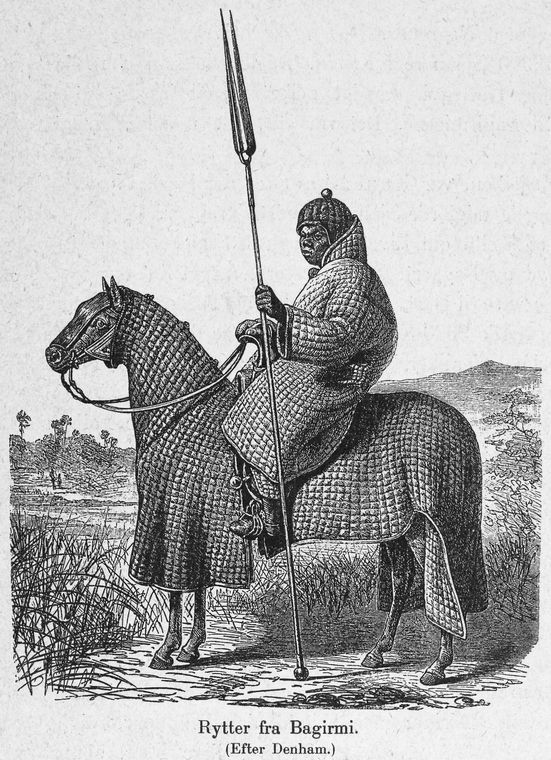 The nomadic Israelites were known as a very warlike people and it is the warrior nature of the people that caused the Most High god to label and select a “peaceable multitude” of these warlike people to leave and go forward into a hidden land “were never mankind had dwelled” so that they might once again return to the true worship of their God in a distant land – the New World of the America’s and the Caribbean Islands. 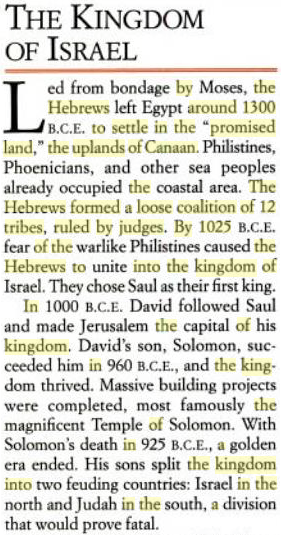 The warlike nature of the Israelite was renown to all nations of ancient history. 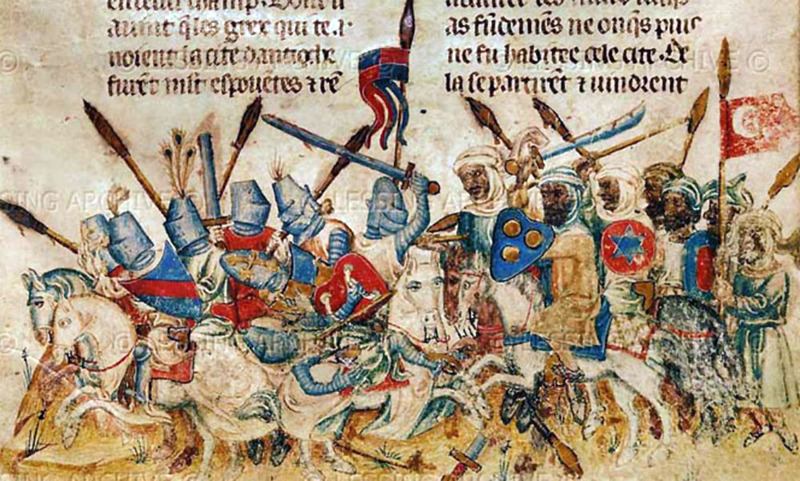 They were great warriors and their stiff-necks and stubborn character described in the Bible caused them not only to rebel against their own God, but also against every nation around them. 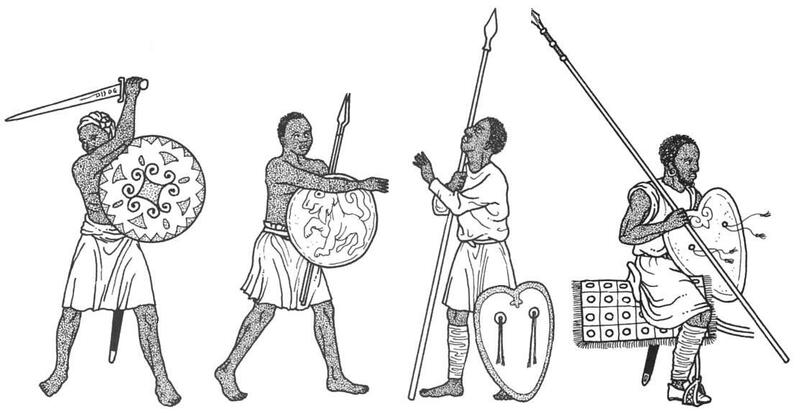 The Israelites were often hired as mercenaries or became leading generals in foreign armies that they served because of their familiarity with the art of War. 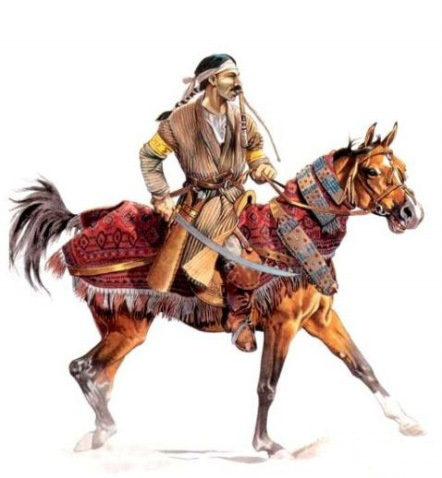 The Israelites who became known as the Scythians and in Persia as the Parthians also even became rulers of many of the foreign lands they migrated or were once enslaved in and founded many ancient empires as a result of their warrior prowess. 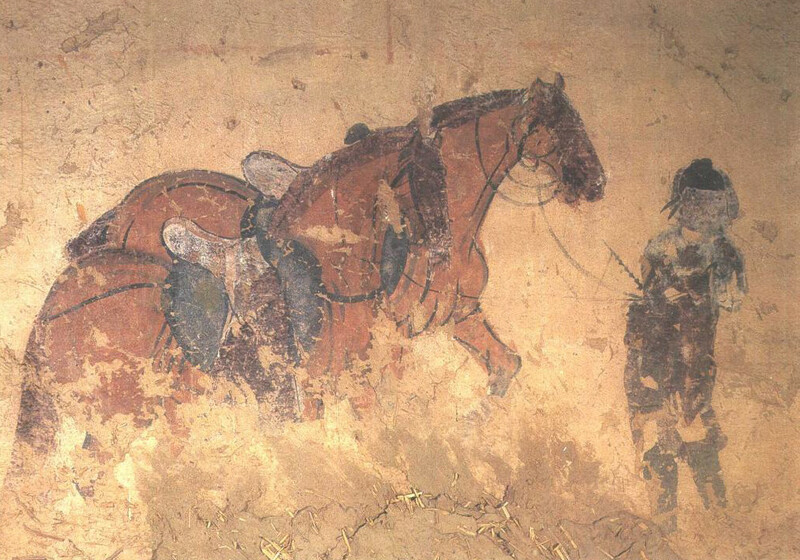 A fresco on the ceiling of Cave 249 in Dunhuang China, depicts a [Parthian] horseman using the traditional single curve bow against a lion like creature. 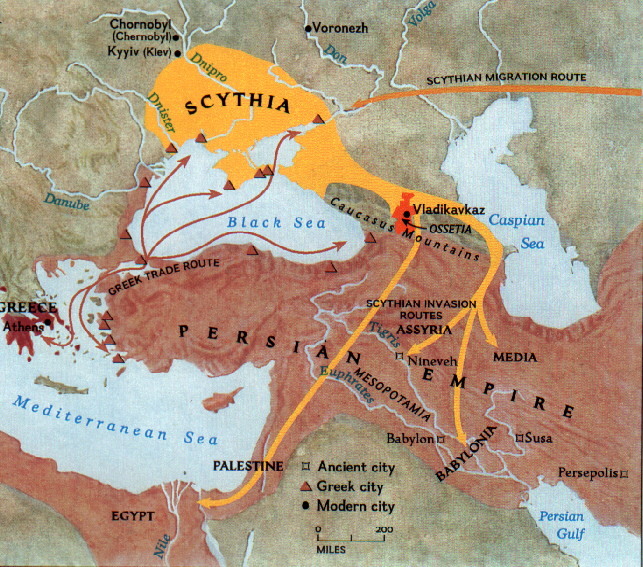 The warlike nature of the Israelites, who became known as the Scythians (among many other bywords, i.e. 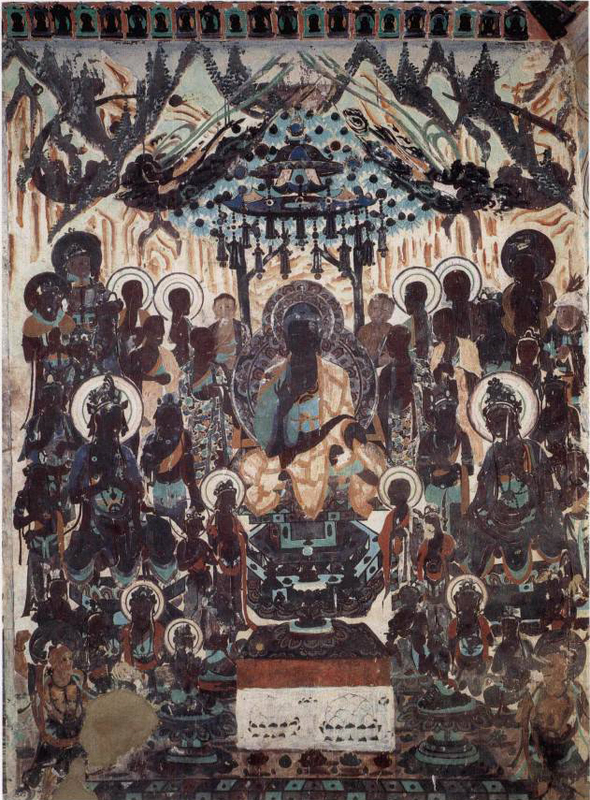 Parthians, Mongolians, Kara-Khitans, etc. 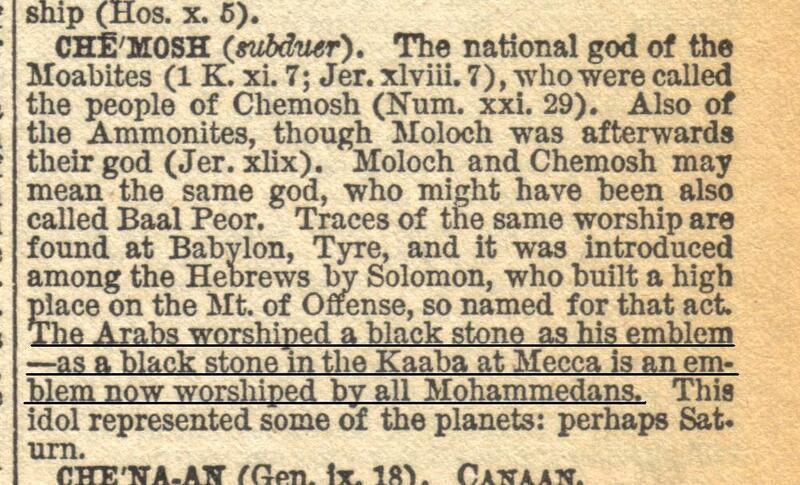 ), can be greatly attributed to their worship of Baal. 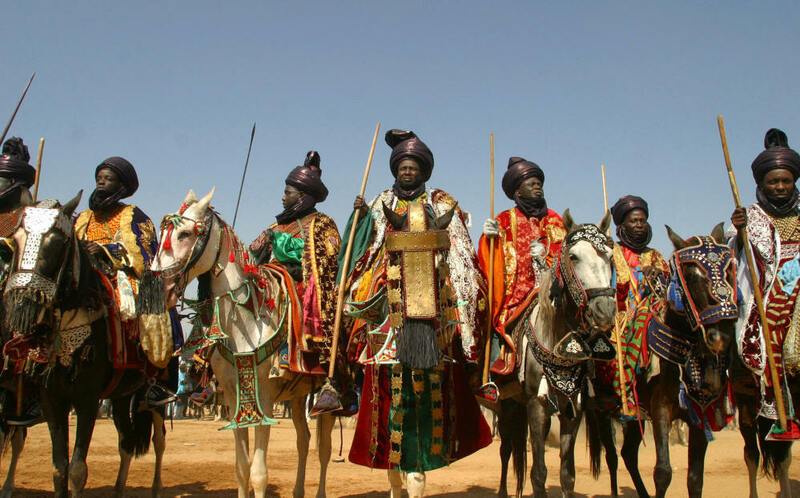 The descendants of the Northern Tribes of Israel began the worship of Baal introduced during King Solomon’s reign and officially adopted it during the subsequent reign of Jeroboam, and they never departed from it. 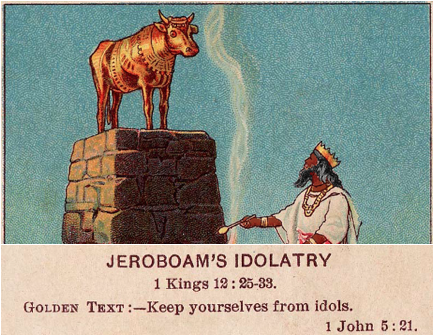 And there they burnt incense in all the high places, as did the heathen whom the Lord carried away before them; and wrought wicked things to provoke the Lord to anger: For they served idols, whereof the Lord had said unto them, Ye shall not do this thing. 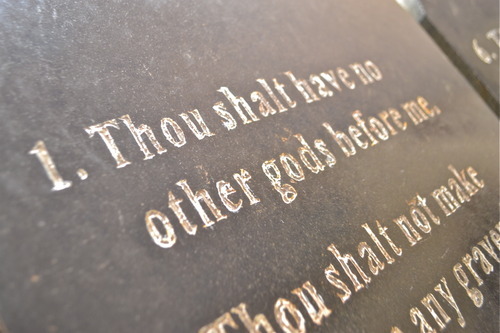 Yet the Lord testified against Israel, and against Judah, by all the prophets, and by all the seers, saying, Turn ye from your evil ways, and keep my commandments and my statutes, according to all the law which I commanded your fathers, and which I sent to you by my servants the prophets. 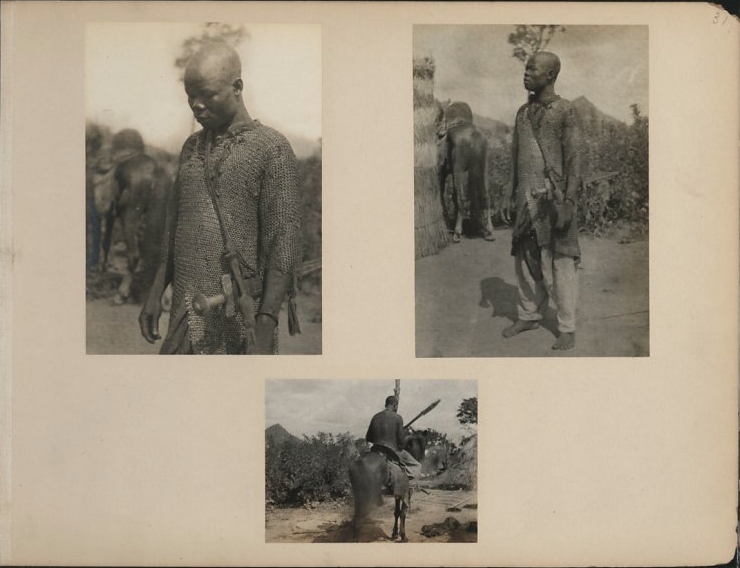 Notwithstanding they would not hear, but hardened their necks, like to the neck of their fathers, that did not believe in the Lord their God. 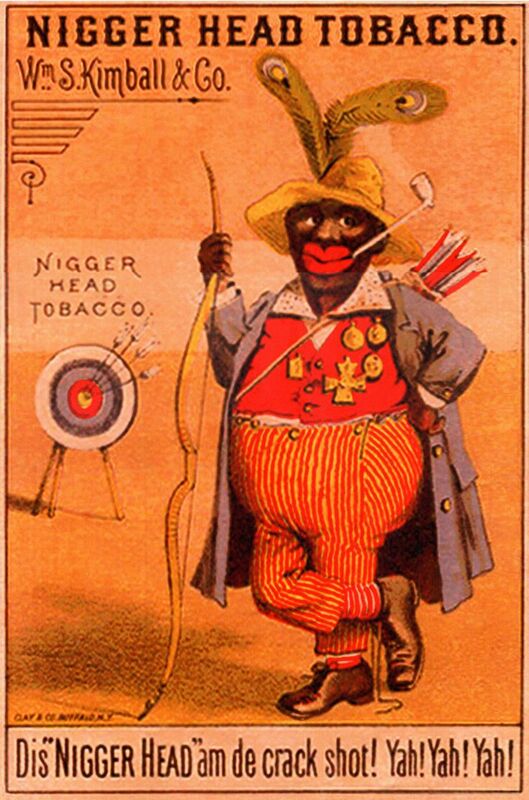 And they rejected his statutes, and his covenant that he made with their fathers, and his testimonies which he testified against them; and they followed vanity, and became vain, and went after the heathen that were round about them, concerning whom the Lord had charged them, that they should not do like them. 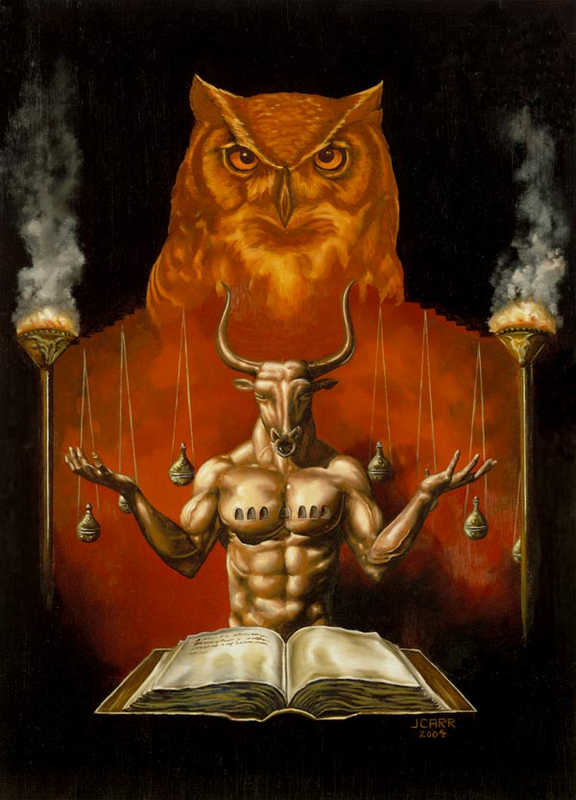 The ancient worship of Moloch included child sacrifice. 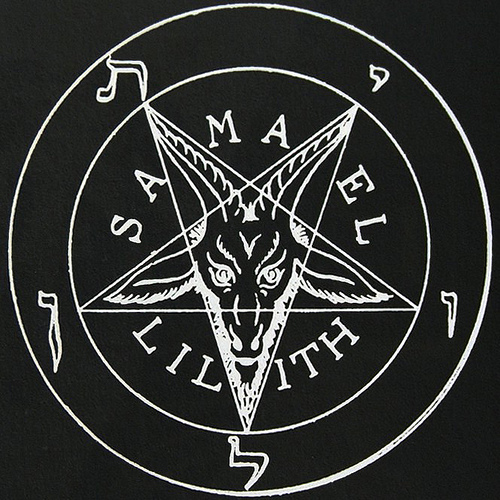 Modern child sacrifice by way of abortion services are provided by Planned Parenthood in the U.S.A. 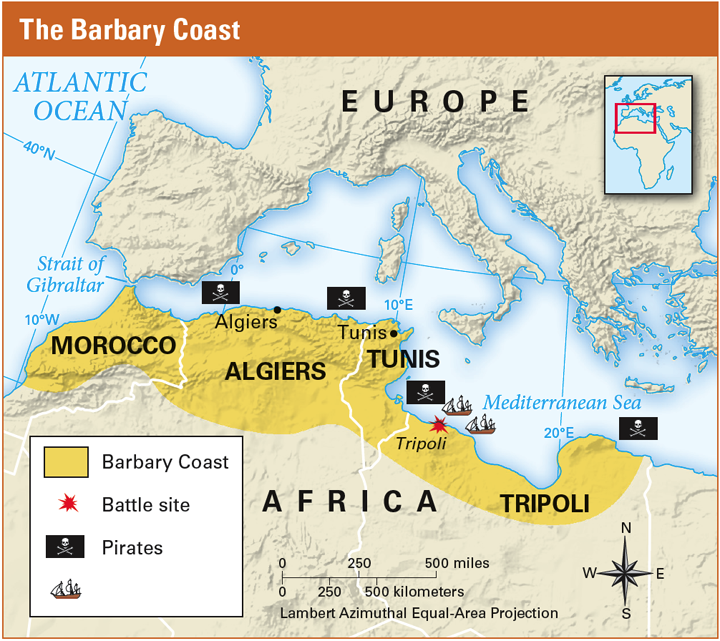 The Israelites were removed out of “the sight” of the Lord, which is his Holy Land. 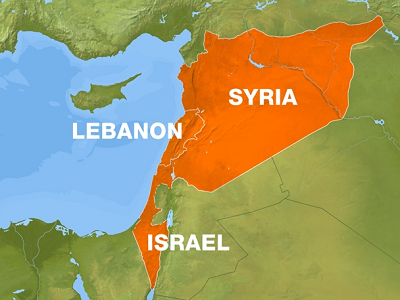 The “spoilers” to who the Lord delivered the Israelites for their sins were the nations surrounding Israel. 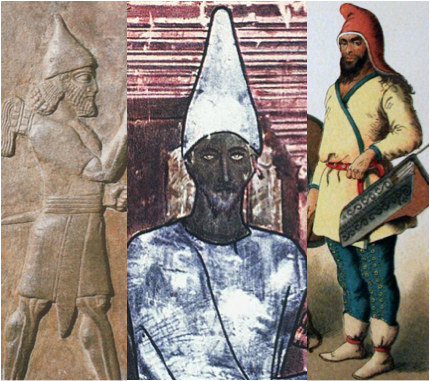 After being taken captive by these surrounding enemy nations, the Israelites became known as the Khumri, Cimmerians and Scythians (among many other names). 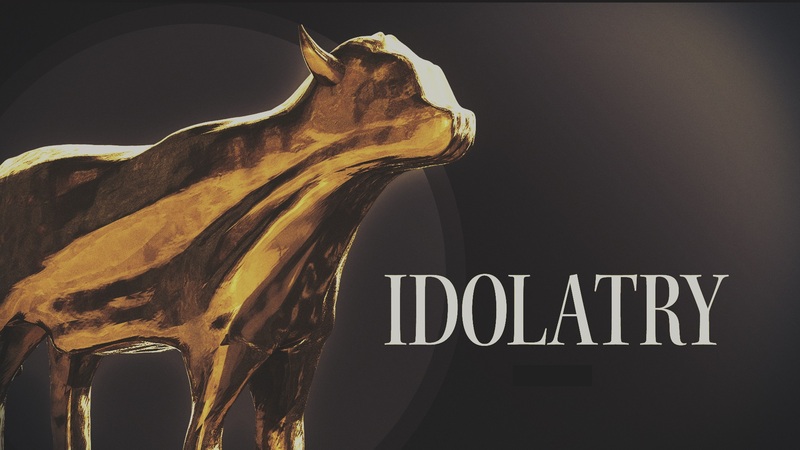 The Israelites dispersed themselves across the whole earth under these different names and carried the idolatrous worship of Baal into all the places they went. 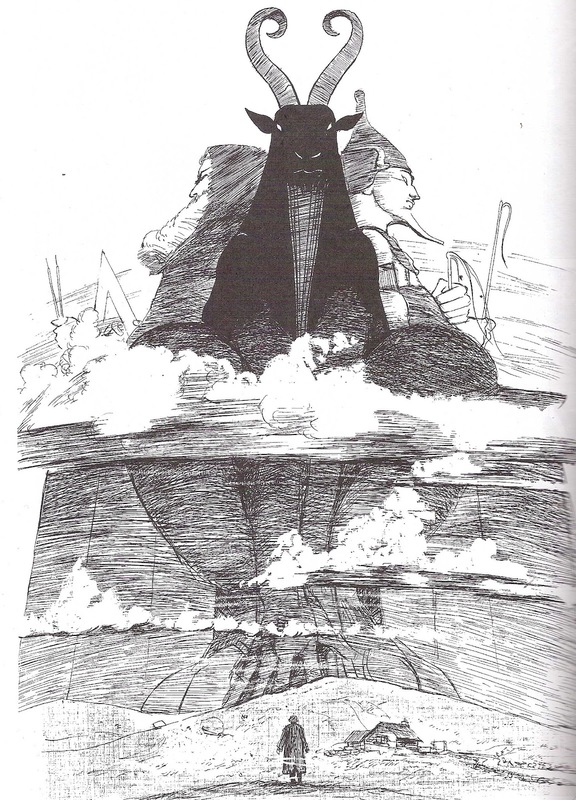 Baal is a god of war and his worshippers adopted the attributes of that god. 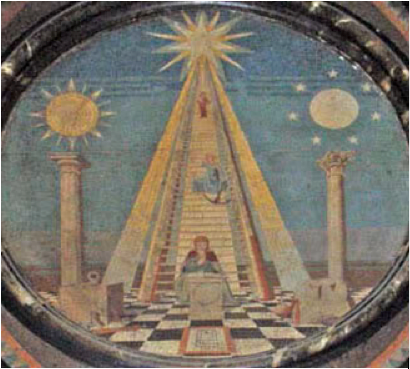 The Israelites reached the height of their worship of the god Baal in the land of Canaan during the last half of the reign of Solomon, which caused the United Kingdom of Israel to be divided into two parts. 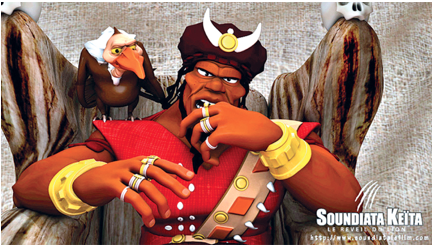 And he said to Jeroboam, Take thee ten pieces: for thus saith the Lord, the God of Israel, Behold, I will rend the kingdom out of the hand of Solomon, and will give ten tribes to thee: (But he shall have one tribe for my servant David’s sake, and for Jerusalem’s sake, the city which I have chosen out of all the tribes of Israel:) Because that they have forsaken me, and have worshipped Ashtoreth the goddess of the Zidonians, Chemosh the god of the Moabites, and Milcom the god of the children of Ammon, and have not walked in my ways, to do that which is right in mine eyes, and to keep my statutes and my judgments, as did David his father. 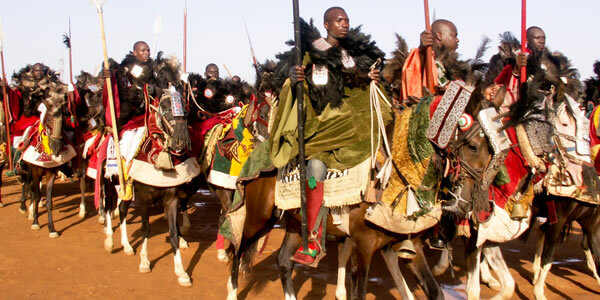 The division of the nation of Israel into the northern 10 tribes of the House of Israel and the southern 2 tribes of the House of Judah was primarily based up which tribes preferred most to worship the god Baal rather than the God of Abraham, Isaac and Jacob, I AM That I AM, worshipped in Jersusalem. 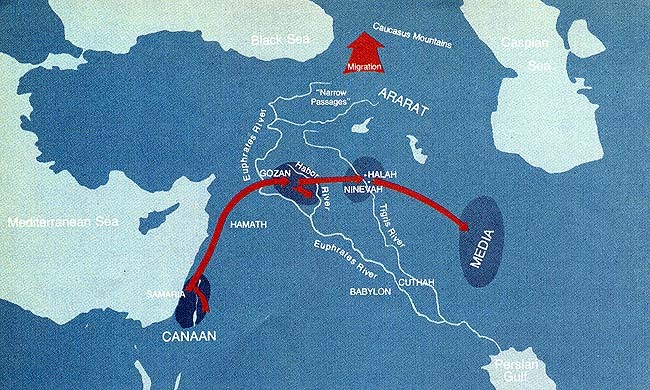 As a result of this division and the preference of the northern tribes of Israel of worshipping Baal, these 10 tribes we removed from their own land into central Asian territory under the control of the ancient Assyrians and the Persians/Medians. 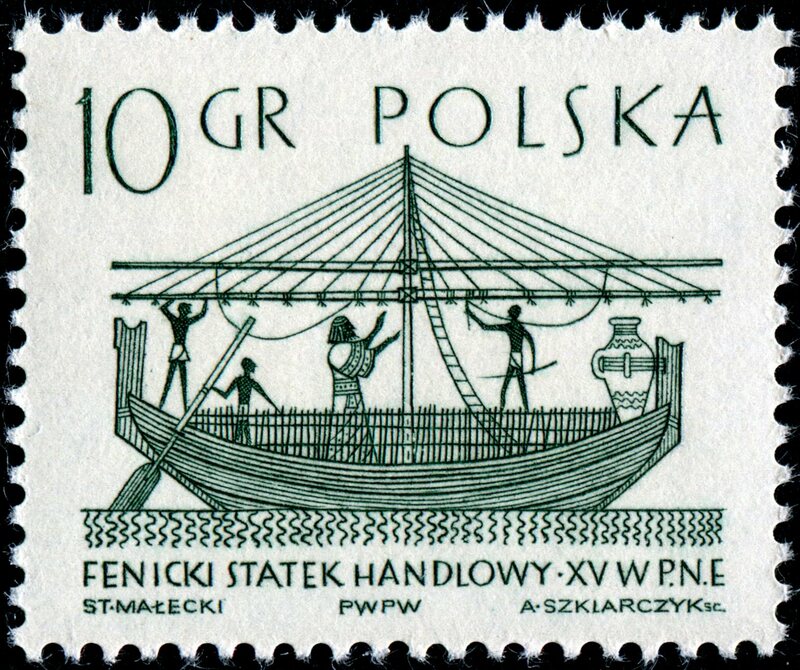 These Israelites who had long practiced paganism in their homeland, brought those same pagan worships of Baalim along with them into the lands of their captivities as well as the subsequent lands they travelled two, either out of free-will, trade, and conquest or because of servitudes and enslavement. 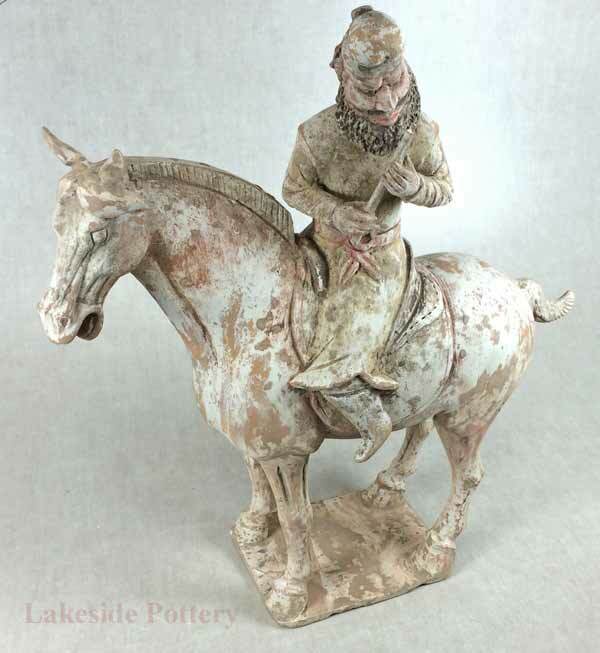 Whatever the case, the pagan worships adopted by the Israelites prior to their captivity in Assyria and Persia greatly contributed to the warlike nature that the Israelite-Scythians of Central Asia were renown for. 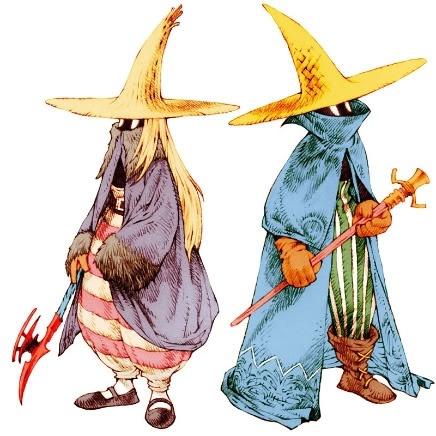 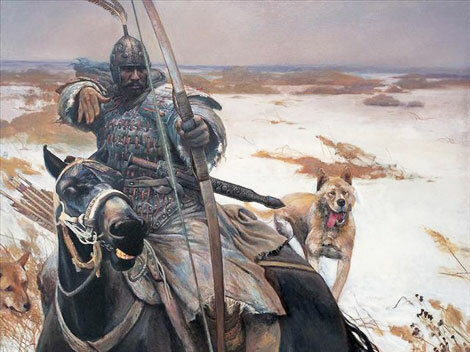 There was, however, a peaceable multitude amongst these warrior Israelite-Scythian mercenary nomads, who decided to escape from Central Asian territories by way of the Euphrates River to a distant and hidden country where they might begin to worship the true God of their ancestors again. 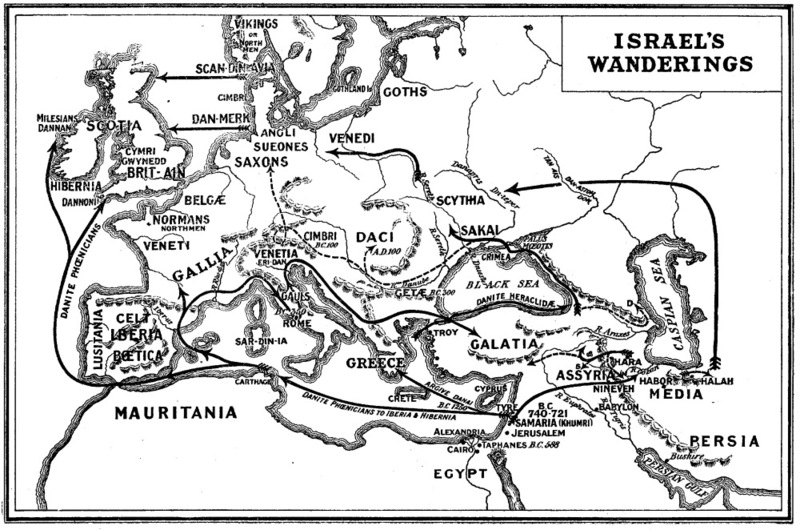 The journey of this peaceable portion of the warlike pagan “10 Lost Tribes of Israel” is found in biblical account of 2 Esdras 13. 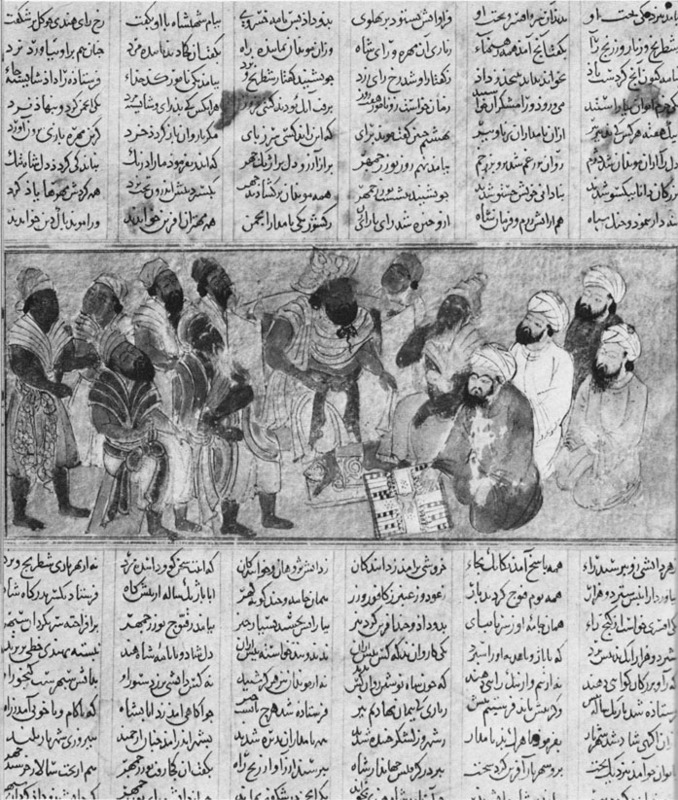 The Israelites originally from the Northern Kingdom of Israel that remained in Central Asian territories eventually migrated into all the Kingdoms of the Old World, from Far East Asia to Western Europe and even deep into Sub-Saharan Africa. 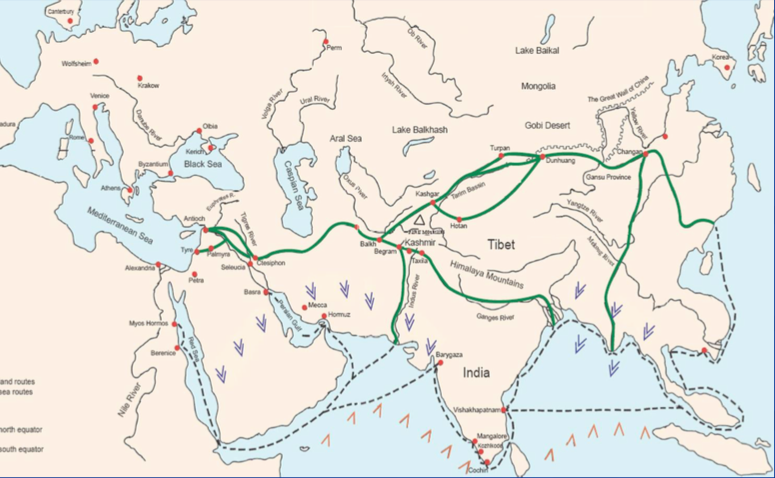 It should be noted that, although many of these warlike Israelite-Scythians migrated further east beyond the Euphrates, there was a “peaceable” portion that travelled by ship on the Euphrates River into the Persian Gulf. 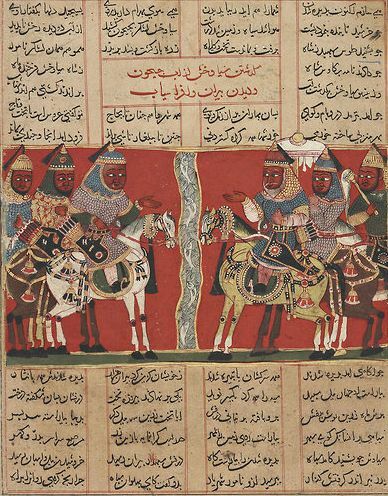 The book of 2 Esdras chapter 13 found in the Biblical record known as the Apocrypha records the journey of the “peaceable multitude” of the Ten Lost Tribes of Israel, who became known as the Scythians, into the Persian Gulf and into the Americas and Caribbean (the New World) which was referred to as Arsareth. 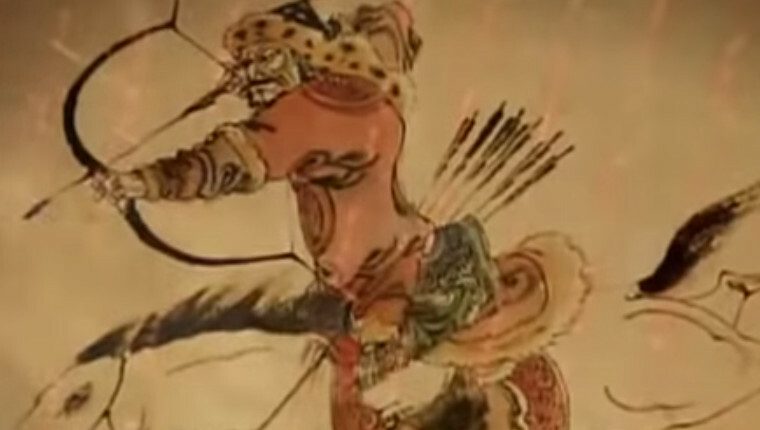 The following video will provide a brief history of the Northern Tribes and their migration from the Euphrates River of Mesopotamia to the countries of the New World in the western hemisphere. 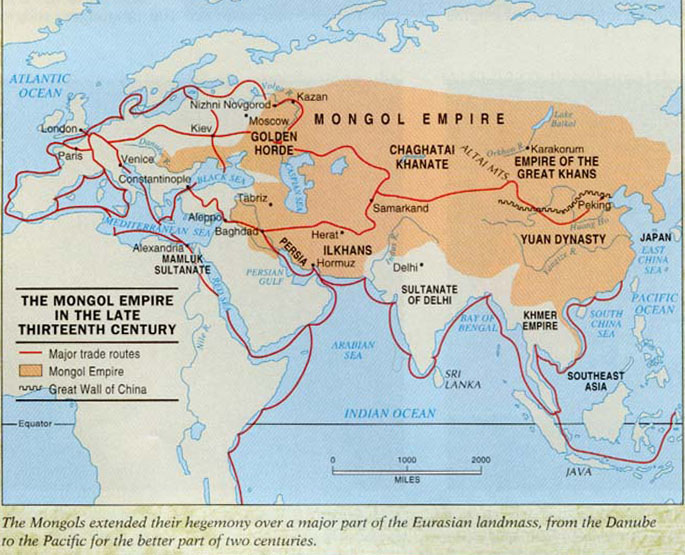 The Israelite Scythians/Aryans not only had a peaceable branch that sailed to the Americas and Caribbean but they also became an immense multitude beyond the river Euphrates. 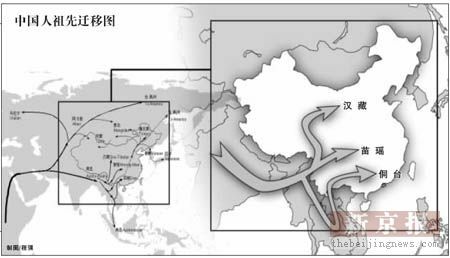 Until this day they have many descendants living among the populations found in the Middle and Far East, from Iran and India into China, Korea and Japan. 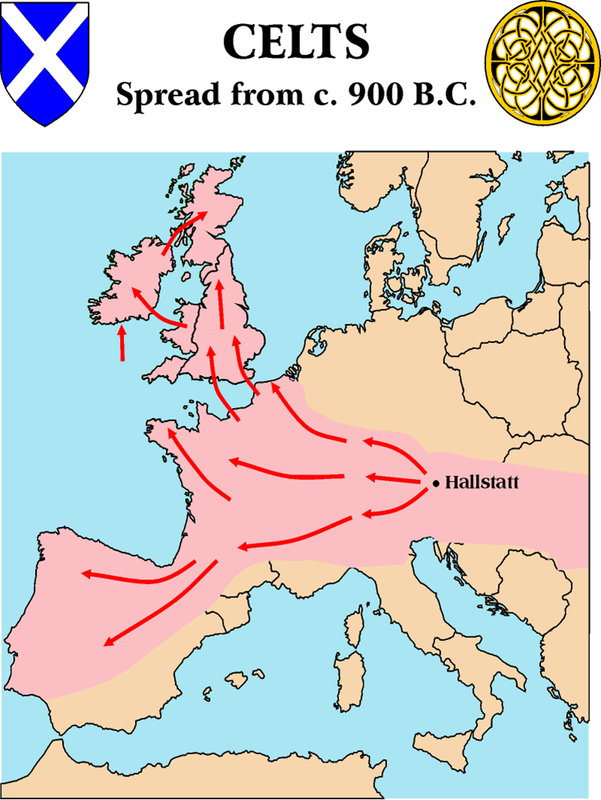 The biblical figure Daniel was also aware of the Israelite-Scythians scattered throughout the world. 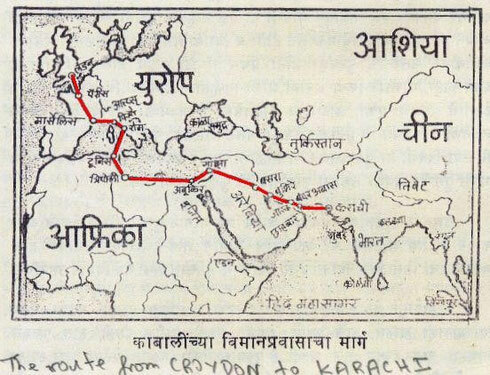 We can be certain of this through the information that we find in the scriptures biblical record, along with a small understanding of geography. 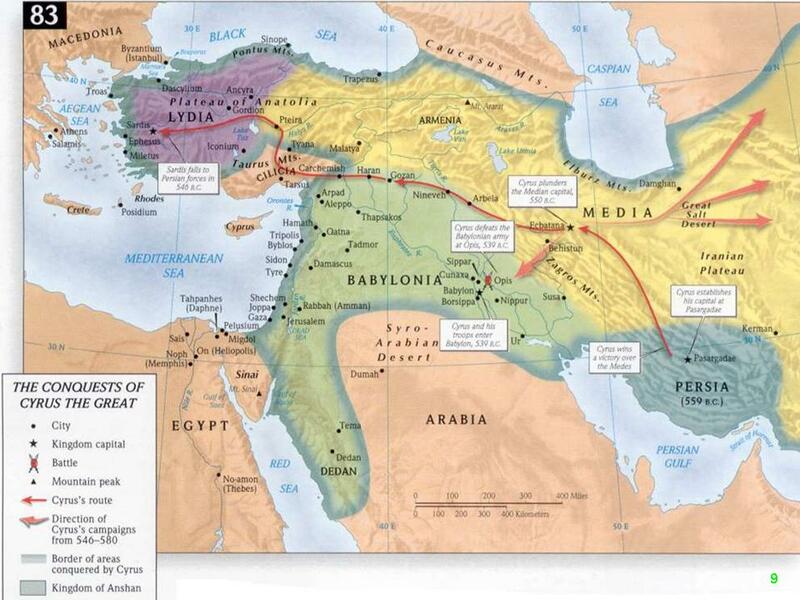 After the Assyrian captivity and diaspora of the House of Israel (the Northern Kingdom) the Babylonians came and to the House of Judah (the Southern Kingdom), which included Daniel many other prophets, into captivity as well. 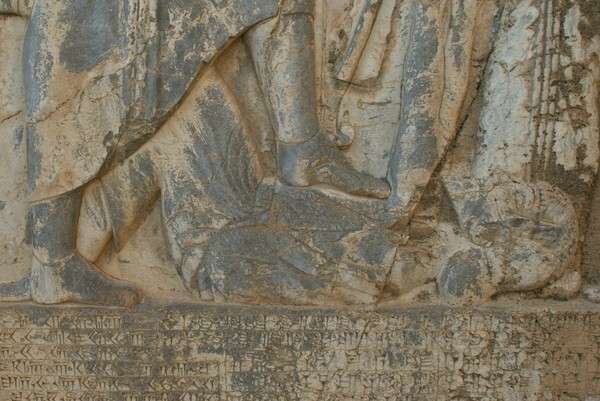 Scholars have dated Daniel’s life from 621 B.C. 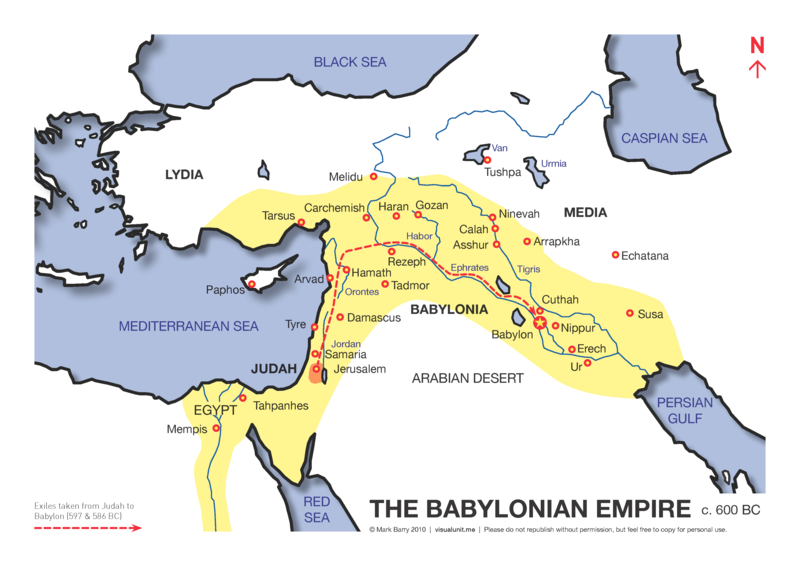 to 533 B.C., his captivity in Babylon beginning in 605 B.C. 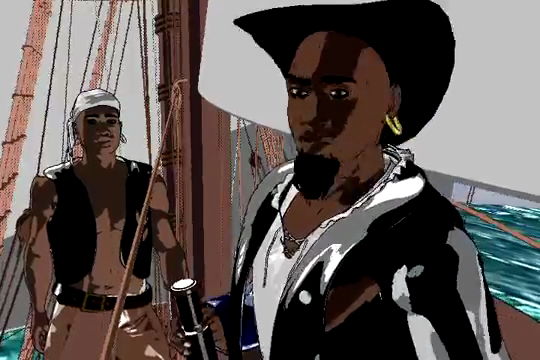 at age 16. 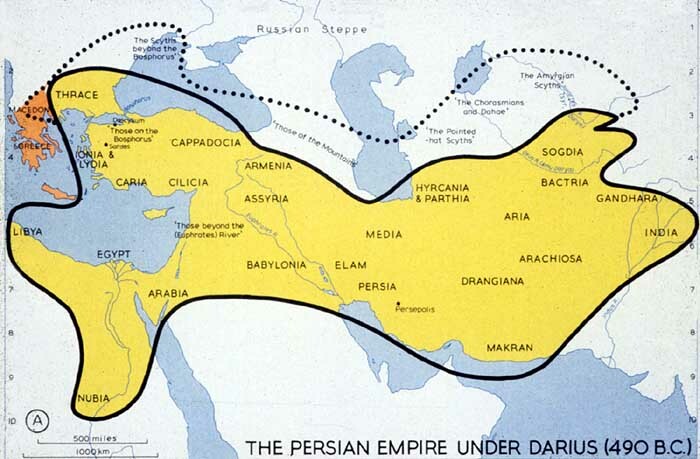 After interpreting the prophesy of the writing on the wall for the son of King Nebuchadnezzar, Belshazzar, Daniel lived to see the Persian conquest of Babylon in 539 B.C. 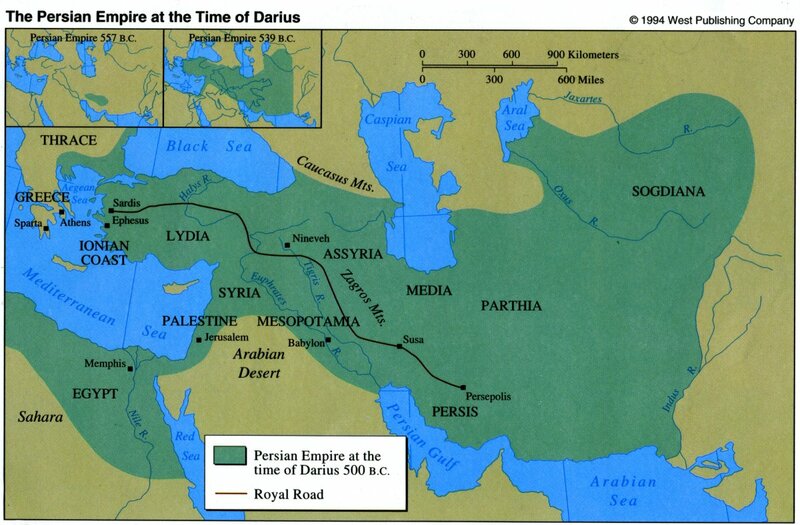 under the leadership of Cyrus when Daniel was 82 years of age. 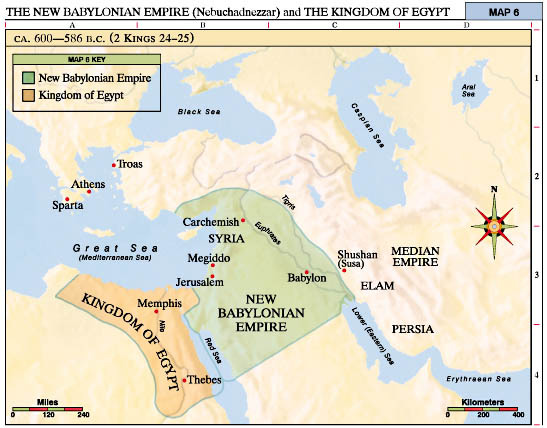 Daniel was fully aware of the Israelites that were near to him in Babylon as well as those in the Babylonian/Persian Empire’s many provinces far off. 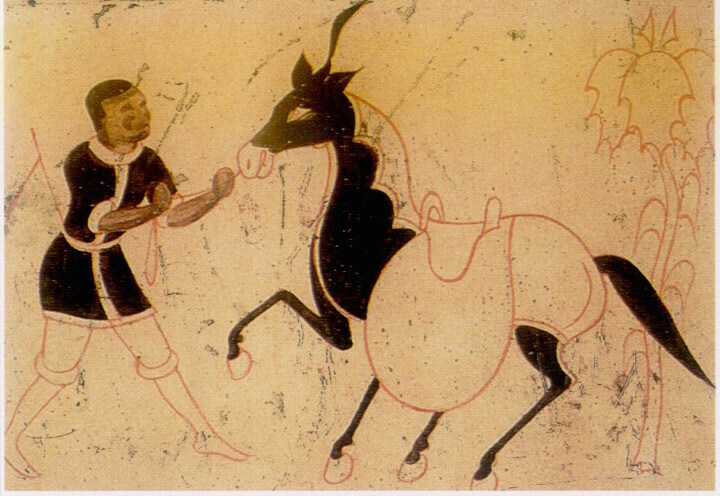 Many of those Israelite fall under the identification of Scythians, which was an umbrella term used to identify different nomadic peoples, both within and outside of the ruling empires. 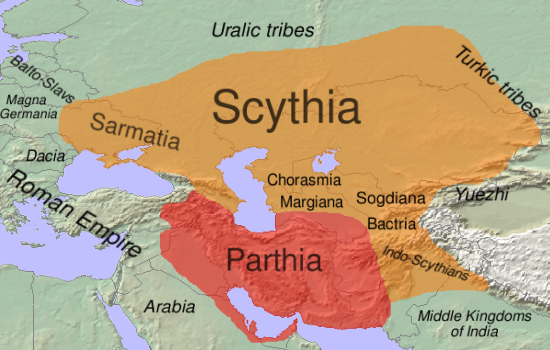 Again, many of these nomadic peoples identified as branches of Scythians were related to the Israelites (although some were not). 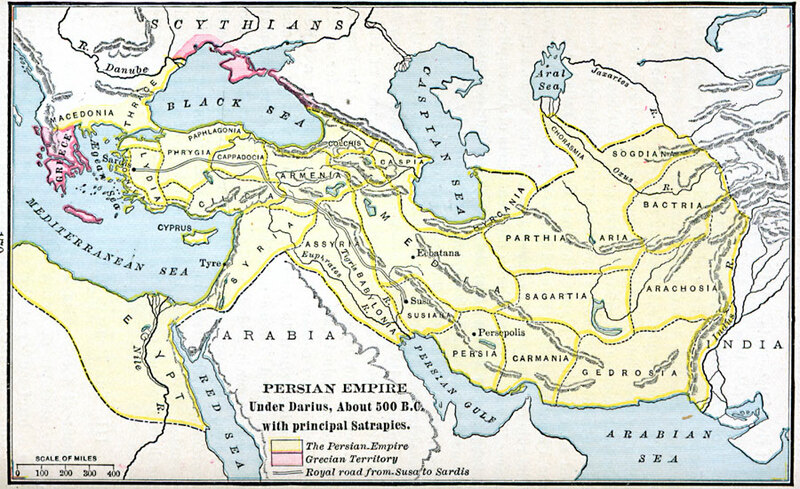 Notice the Scythians (Scyths) in the territories outside of the highlighted Persian Empire under Darius. 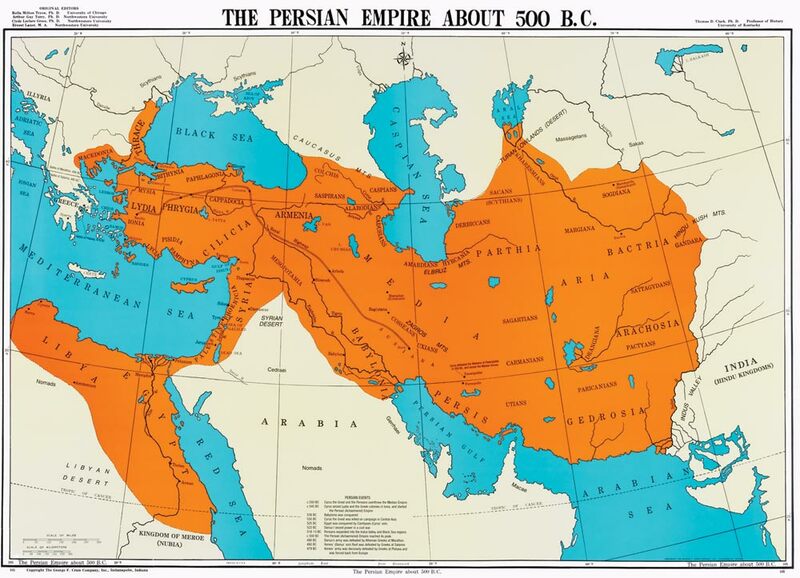 Also notice that Thrace and part of Macedonia (highlighted in orange in the map above) were included in the territory of the Persian Empire. 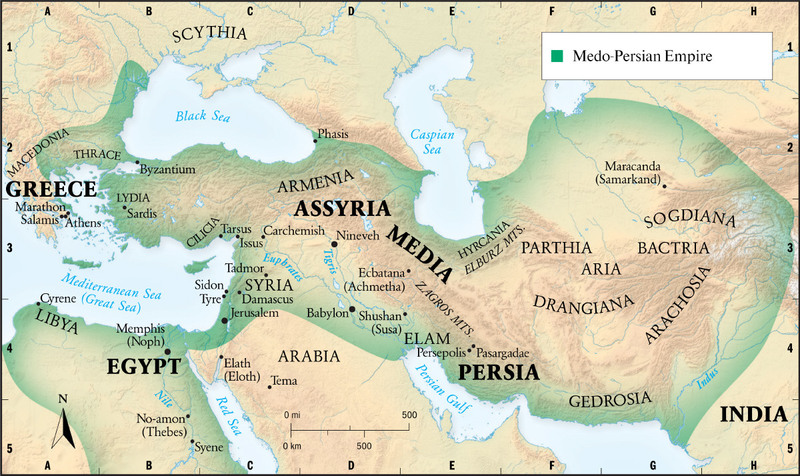 It should also be understood that the Scythian-Israelites have very close connections with ancient Assyria/Syria. 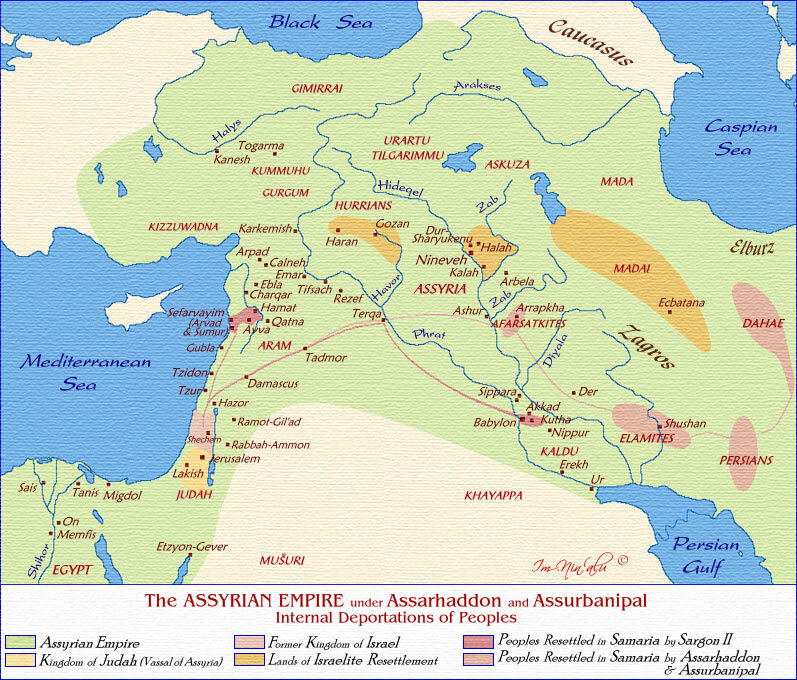 As stated earlier, it was the Assyrians who removed the Israelites from their homeland and placed them in certain locations within the Assyrian, Babylonian, and Median territories. 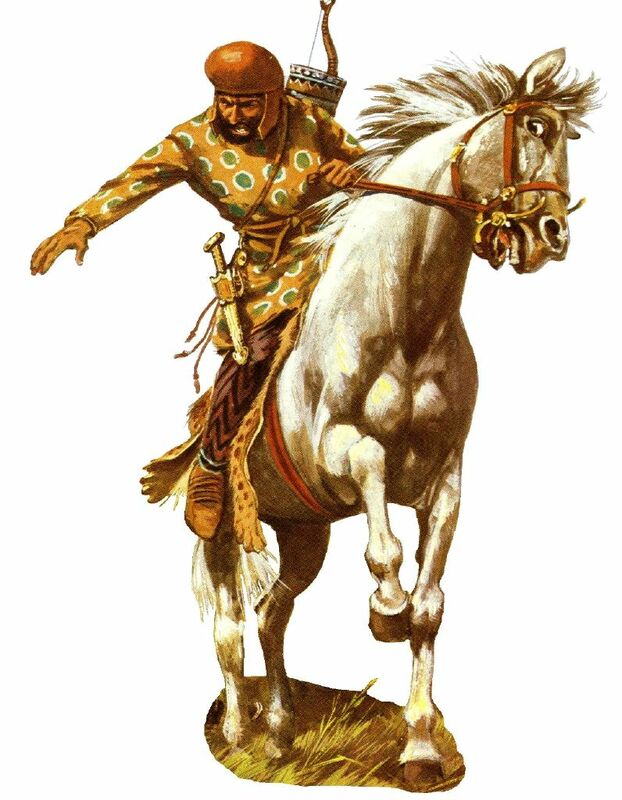 These Israelites became known as Scythians (among many other names) who were a very warlike nation. 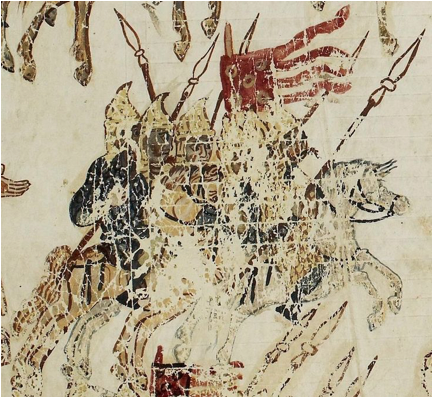 The image above of a man named Konon, is identified as a man of Macedonian royalty who came to authority in Syria as well. 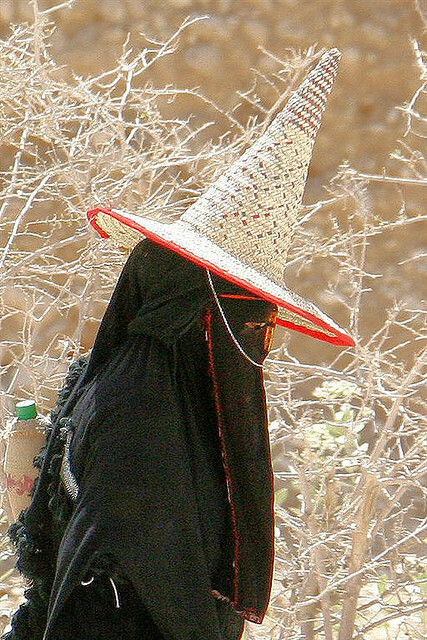 Notice his appearance and his style of dress and compare it to the image below of ancient Assyrians who wear the conical hat. 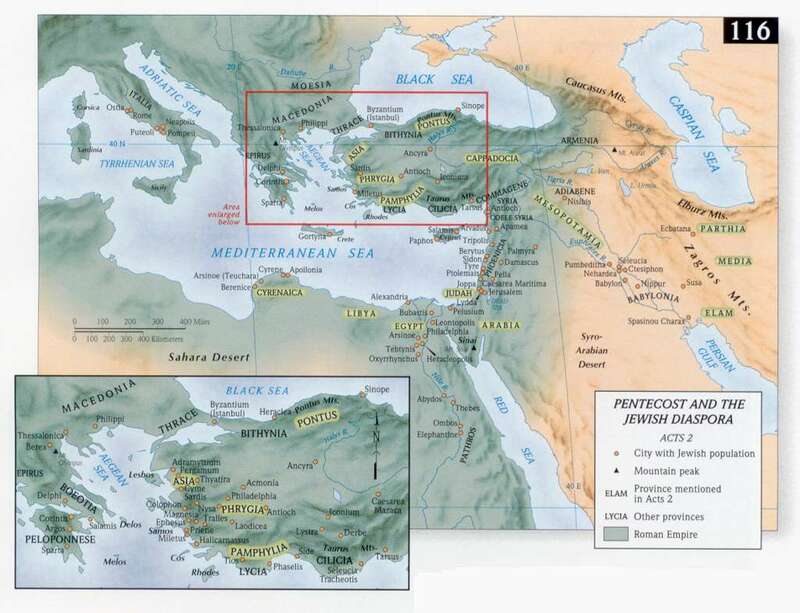 Daniel, having risen to one of the highest government positions, under both the Babylonian and Persian empires, was aware of the peoples that comprised the different territories under the jurisdiction of both empires and thus he was also fully aware of the locations of his people, the scattered Hebrew Israelites. 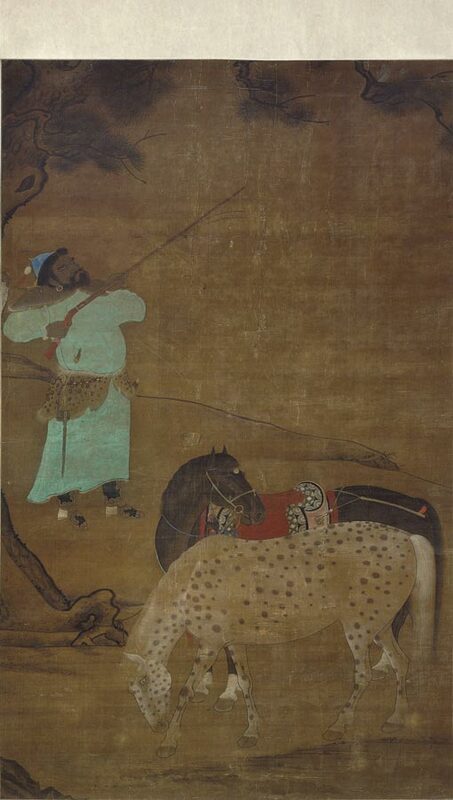 Further evidence of the Biblical awareness of the Scythian-Israelite presence can be found the records of another Israelite prophet contemporary with Daniel; the prophet Jeremiah. 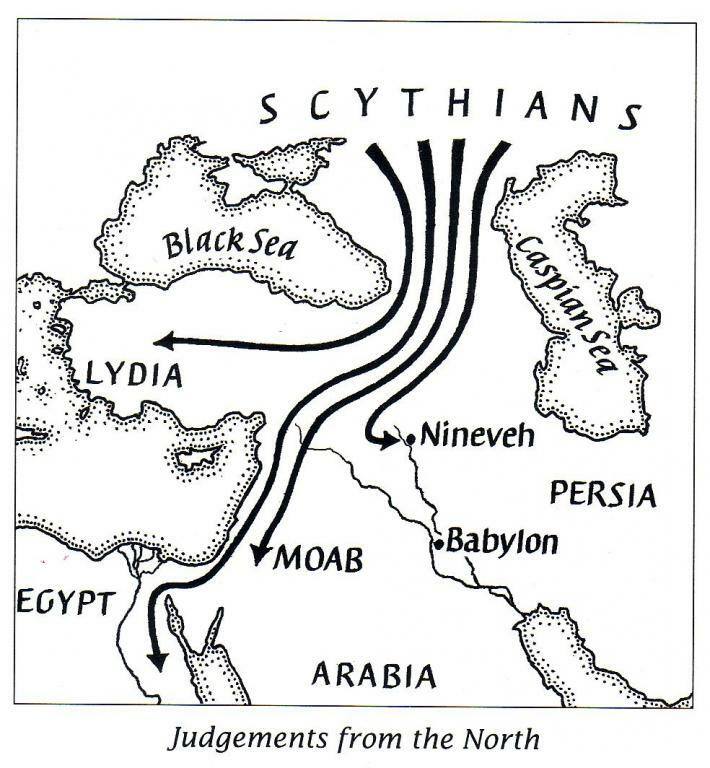 In his record, Jeremiah is instructed to proclaim towards the North, to backsliding Israel (the 10 Northern tribes) that the out to return to the ways of their God so that he can bring them back to their homeland. 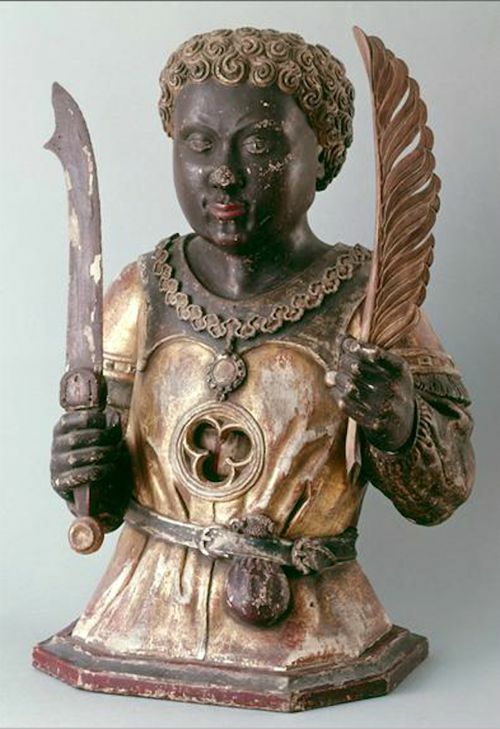 Initially, it may seem obvious that Jeremiah was speaking to the area directly North of the Kingdom of Judah, which is the northern Kingdom of Israel. 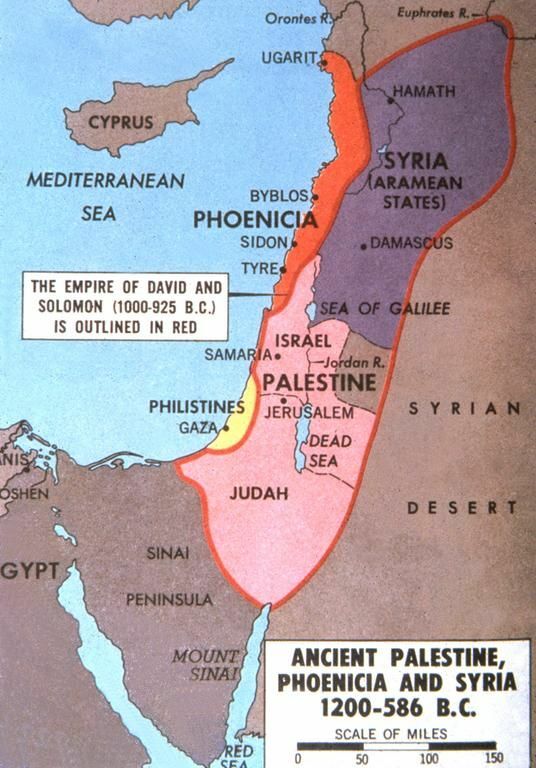 However, if we understand that the House of Israel was removed from their land many years prior to the time of the prophet Jeremiah, then it is certain that Jeremiah was talking about another area North of Israel that contained a population of Israelites from the house of Israel. 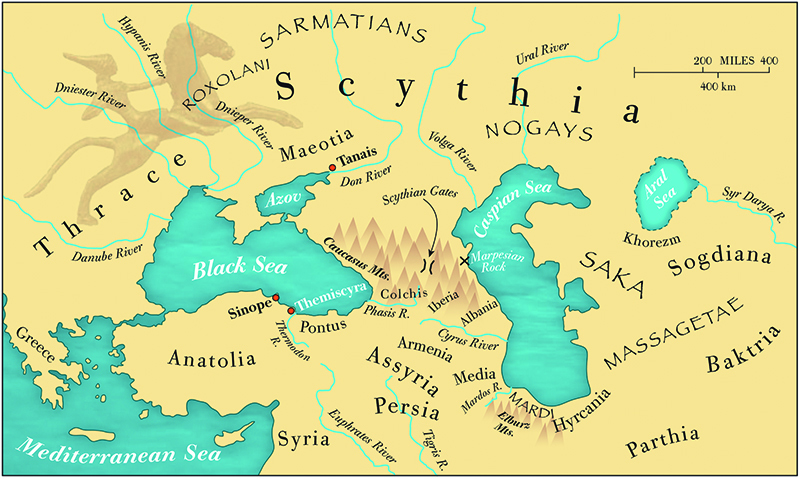 If you were to draw a line north from Palestine/Israel on the map below you will arrive to the region of Black Sea, an area populated by a people known as the Sacae/Scythians. 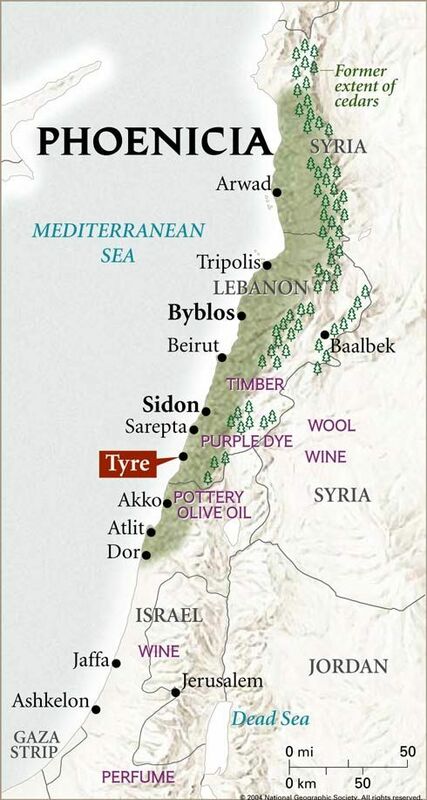 Interestingly enough, the ancient inhabitants of this region have very close associations with the ancient Israelites. 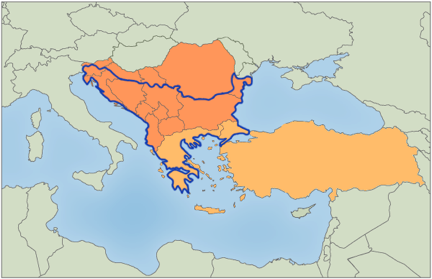 The area of the Black Sea region is also comprised of an area known as the Balkans. 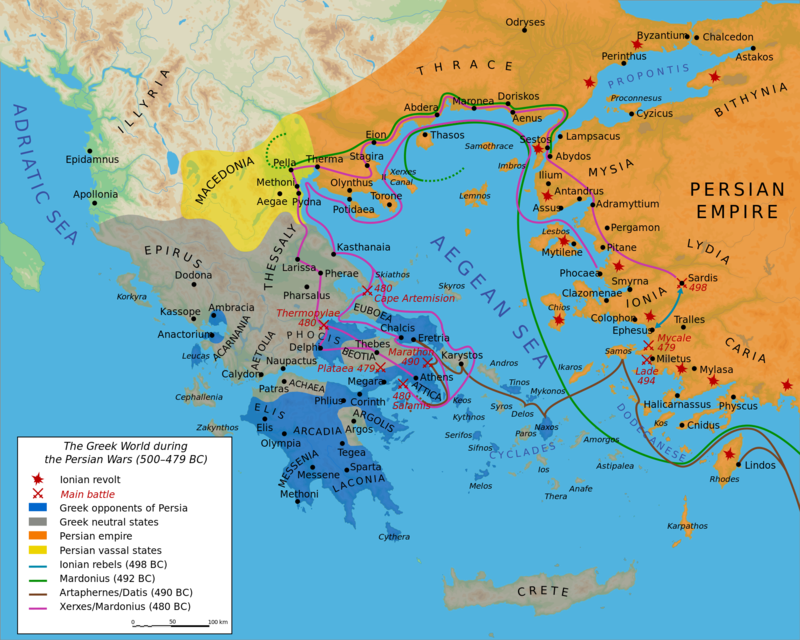 The Balkans is a peninsula and cultural region that takes its name from the Balkan Mountains that stretch from the east of modern Serbia unto the Black Sea at the east of Bulgaria. 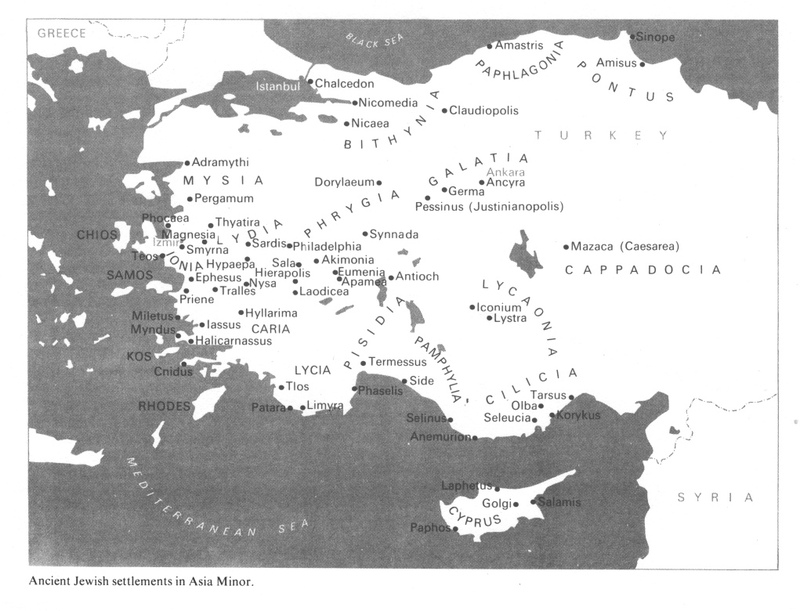 The Balkans were not only an ancient territory that hosted scattered Israelites but it was also an area that became part of the Achaemenid Empire, of which the prophet Daniel was a high ranking advisor of. 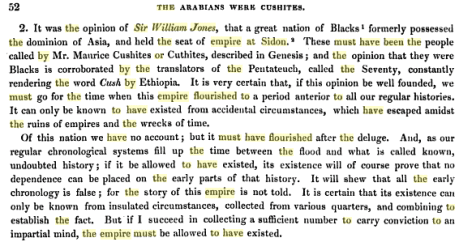 We know that Israelites (particularly the House of Judah) were captive in the Babylonian and Medo-Persian empires of the classical times so it should not be difficult to understand that branches of different Israelite tribes could be scattered in the territories within their empires as well as outside of their borders. 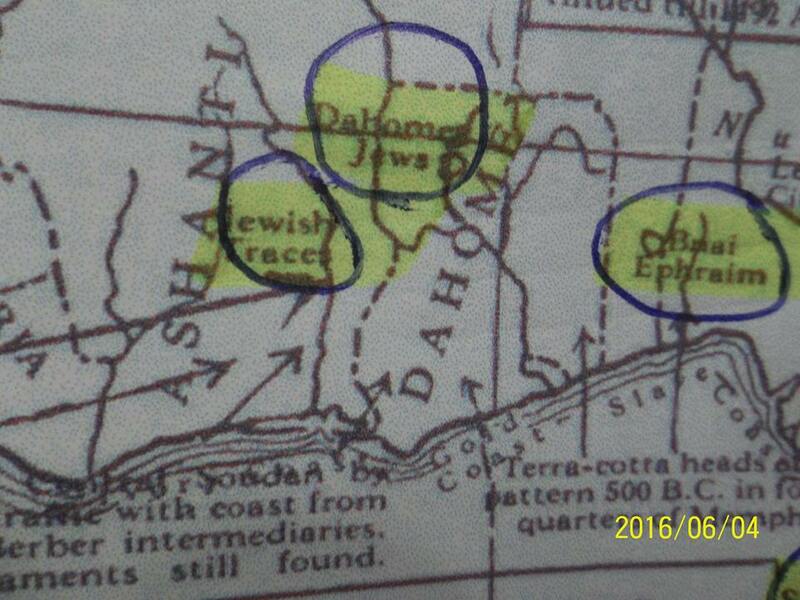 Other ancient historians were also aware of the Israelites scattered presence throughout the world. 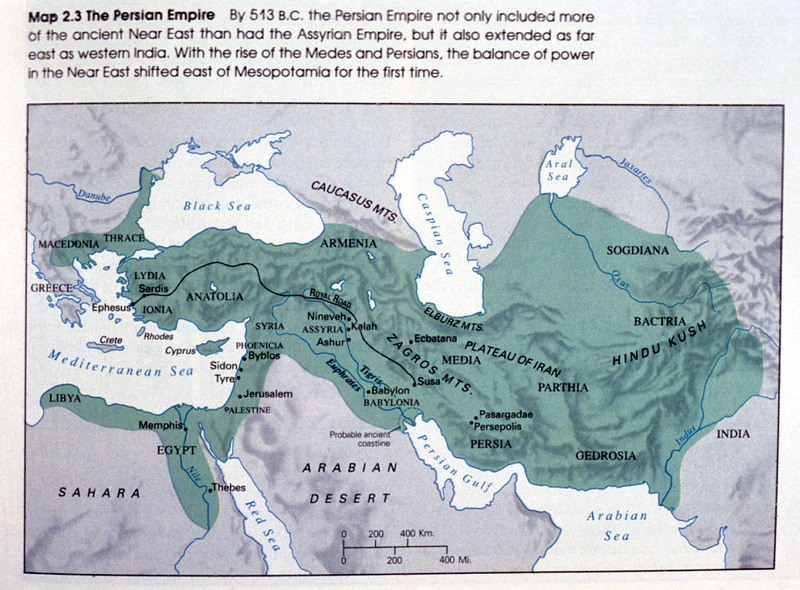 According to the learned Christian priest of the 4th century AD, Saint Jerome, The ten tribes of the northern Kingdom of Israel were subject to the Parthian’s and that they lives in the cities and mountains of the Medes/Persians. 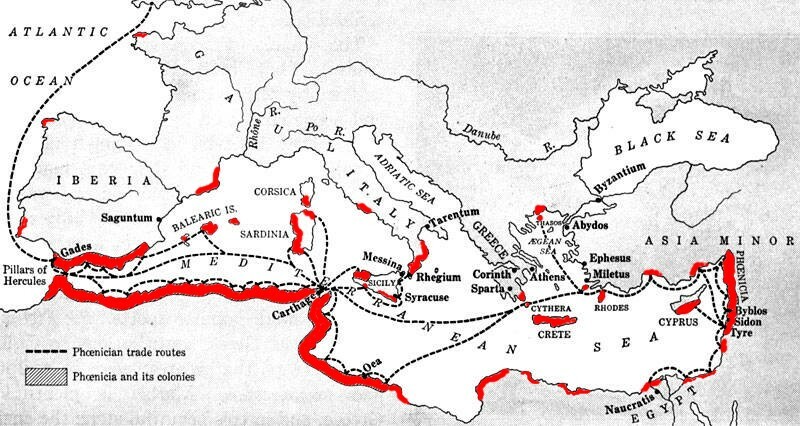 A quote by Josephus, in his book Antiquities of the Jews, supports the history of Saint Jerome as Josephus states that the ten tribes of Israel were to be found beyond the Euphrates River (in the land of Iran and further eastward) as an ‘immense multitude not to be estimated by numbers’. 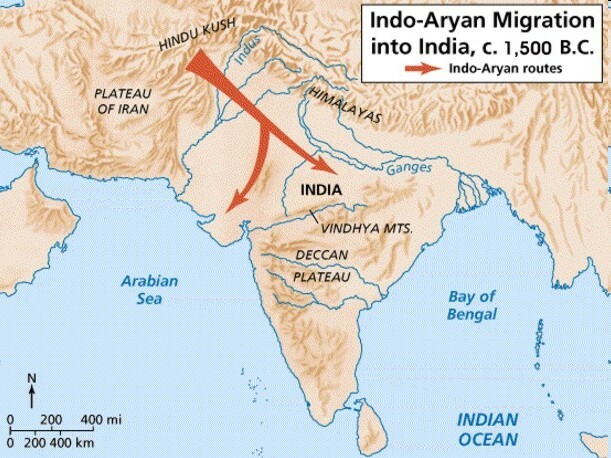 It is this information, along with the historical support of the Bible, that allow us to come to the conclusion that the Israelite Scythians were part of the Iranian (Aryan) Empire which had taken the Israelite Scythians in to India and further into the Far East. 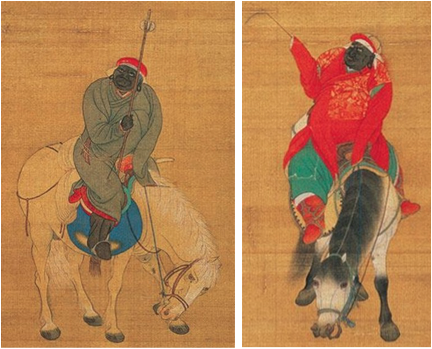 The Scythian’s travelled as far East as Korea and Japan and as far west as the modern United Kingdom. 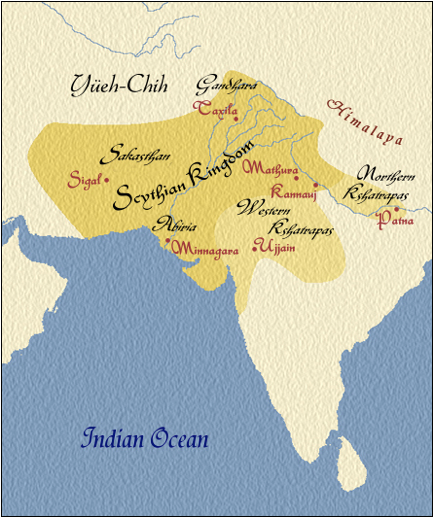 In fact, many archaeological evidences exist to support the conclusion that the Scythian’s culture was spread across the whole of the Old World; from Europe to Asia. 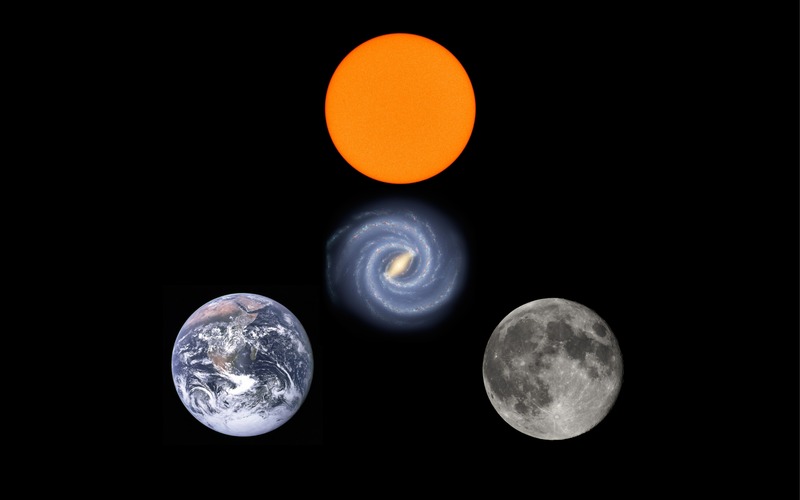 We will discuss and view a few supporting evidences. 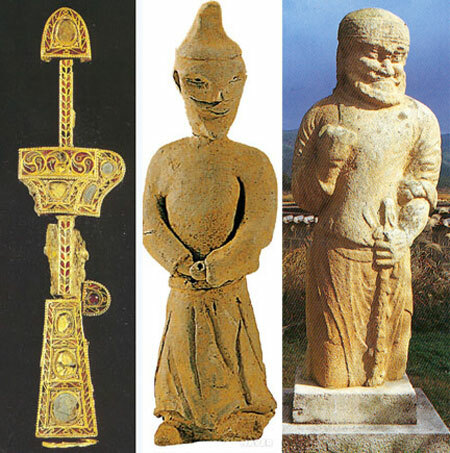 In regards to the Balkans Black Sea area that was within the territory of the Achaemenid Persian Empire that we were previously discussing and it’s relation to this vast Scythian territory I have just mentioned, I’ve found some artifacts that help to connect the Balkans (modern Bulgaria-Pannonia) region with Korea as well as many other places. 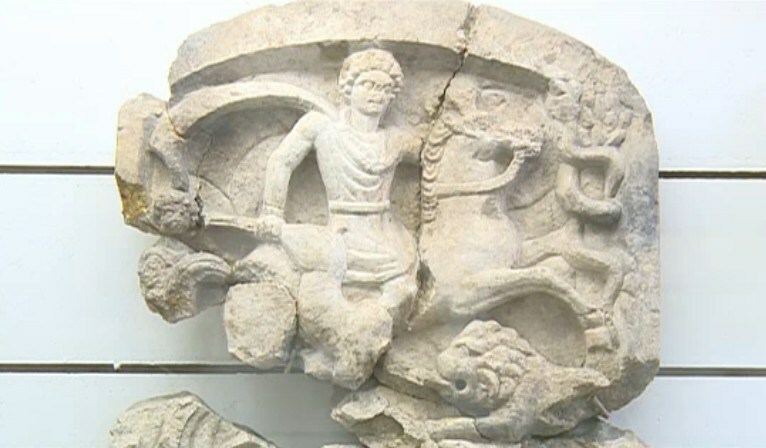 In a particular documentary in Korea, an effort was made to associate some ancient Korean Silla Dynasty (57 BC to 935 AD) artifacts with the ancient Thracian peoples. 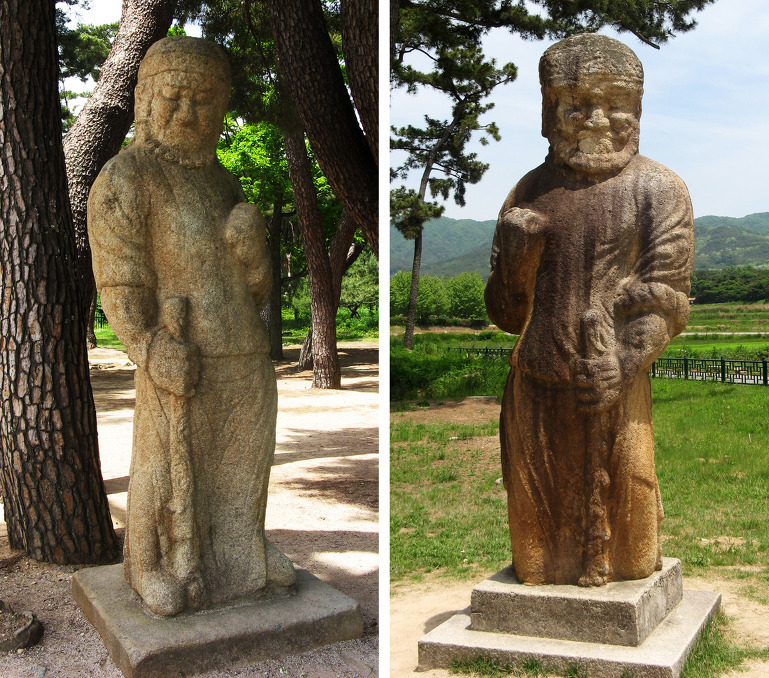 The craftsmanship and designs of the Korean sword are very similar to those found on many artifacts in Thracia. 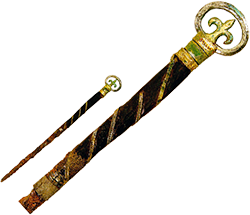 Besides the sword, another artifact helped connect both the Korean and Thracian artifacts to the Scythian peoples—The triskelion symbol. 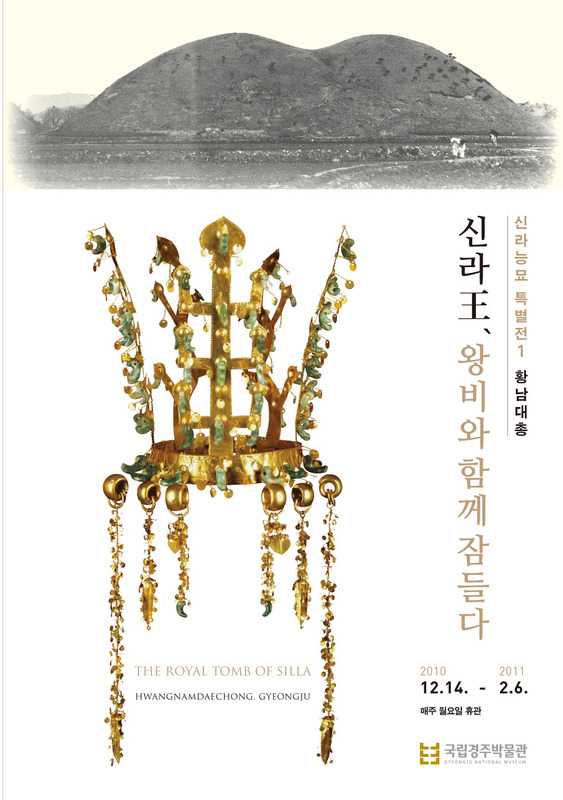 The design of the sword, it’s symbols and other artifacts found in the ancient Korean tomb has led many Korean scholars to wonder if Korea’s Silla kingdom has origins in Central Asia by way of the Scythians. 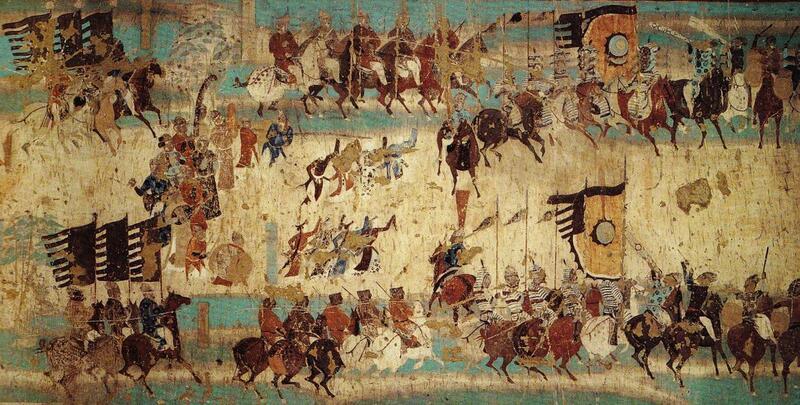 Are Silla Kingdoms Royal roots in Central Asia? 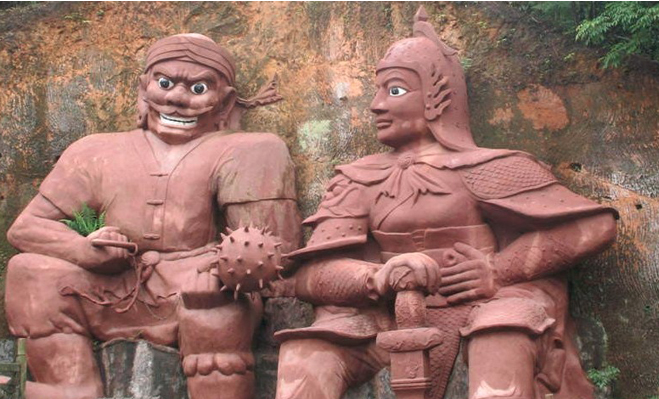 At the Gwoereung Tomb there are four stone statues of humans. 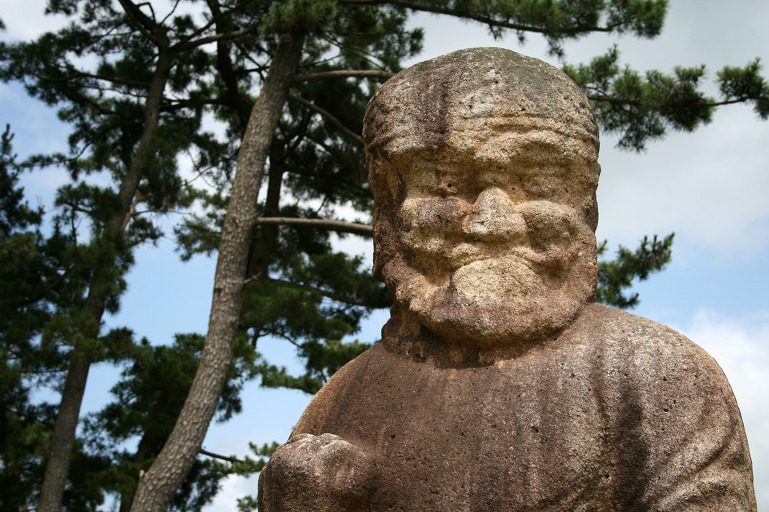 One is of a military man, Seokinsang, who is clenching his right hand into a fist and holding a club in his left hand. 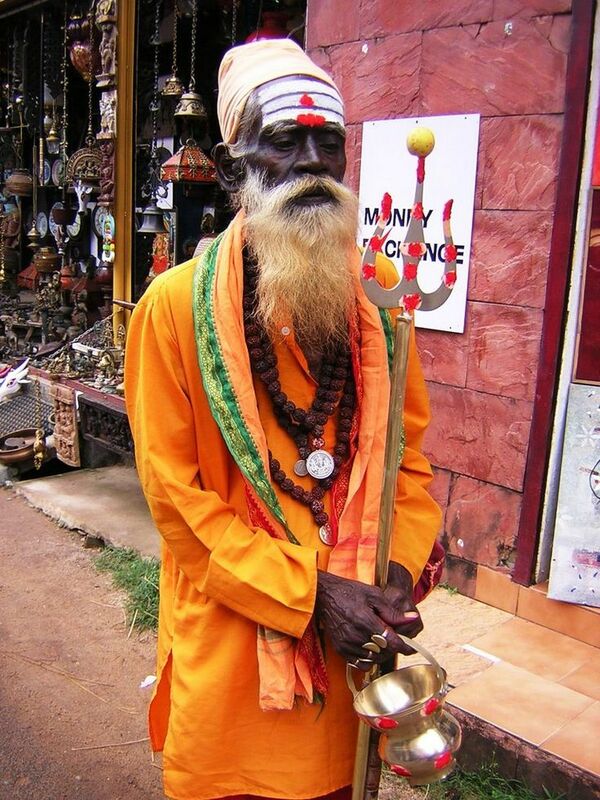 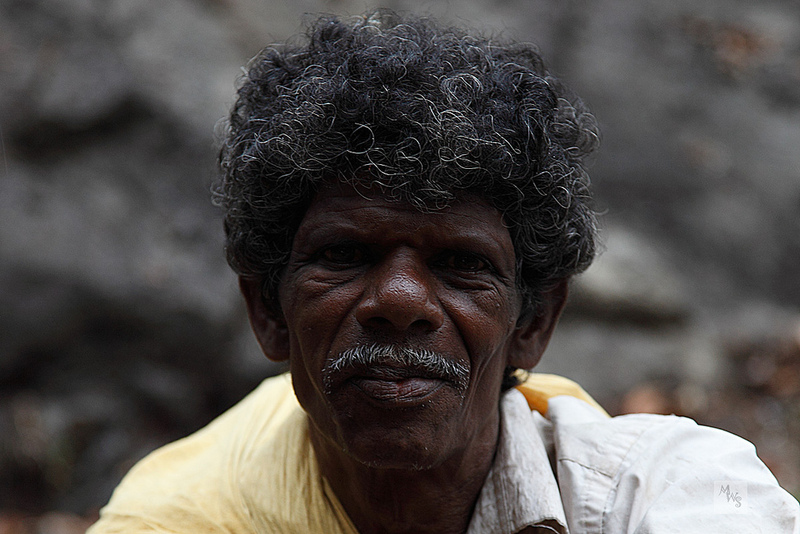 He wears a Middle [Central] Asian style turban on his head. 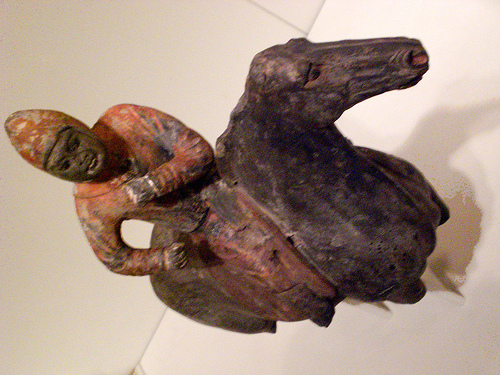 Compare the Turban on the Seokinsang statue ABOVE to the Turban of Enshi Tusi Imperial City, Hubei, China’s statue of a Miao/Hmong, BELOW. 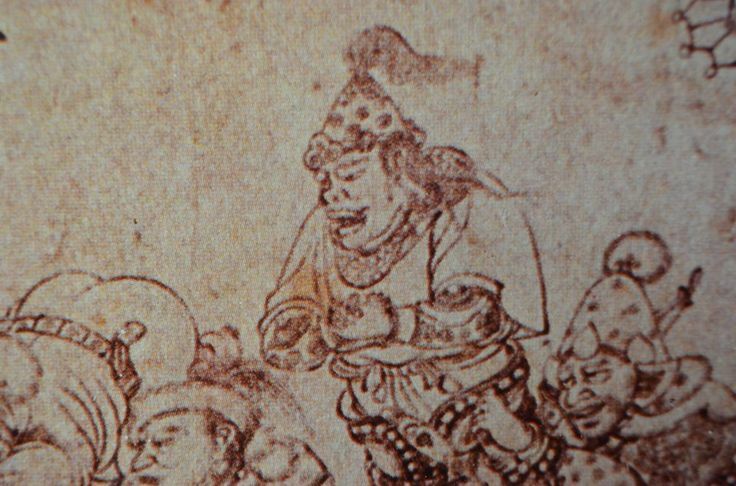 Another example Scythians/Mongols wearing the Central Asian style turban strikingly similar to the statue of Seokinsang, one of the guardians of the Korean Gwoereung Tomb. 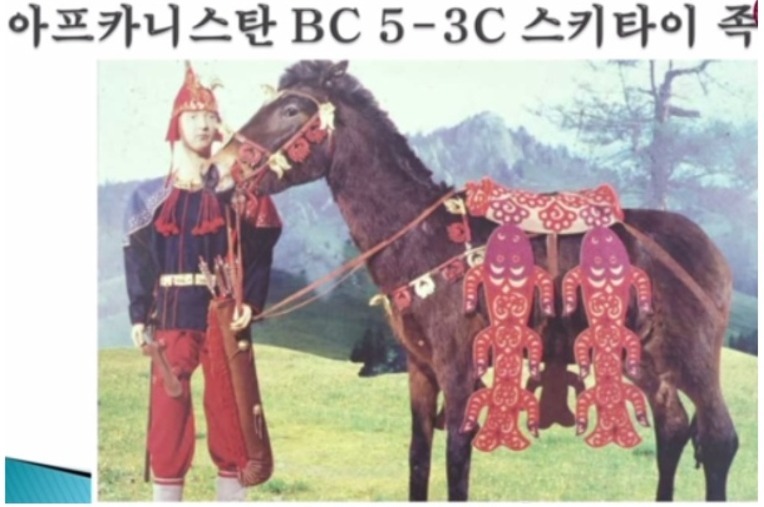 The true identity of the Scythians of Central Asia seem to be the key to the mystery concerning the connection between Korea and ancient Thracia in the Black Sea/Balkans of Eastern Europe. 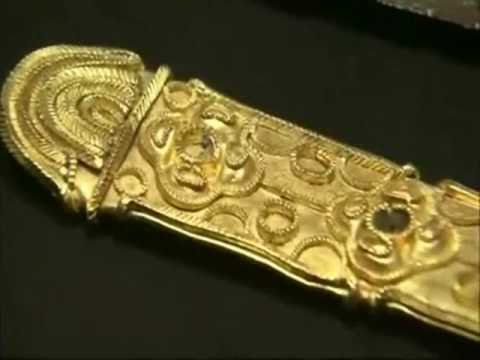 The triskelion symbol found on the Korean sword and Thracian artifacts helps us to trace the Scythian presence all over the world which also provides yet another support for the histories of Josephus and Saint Jerome that both agree that many of the Israelite tribes had wandered beyond the Euphrates River into the Far East. 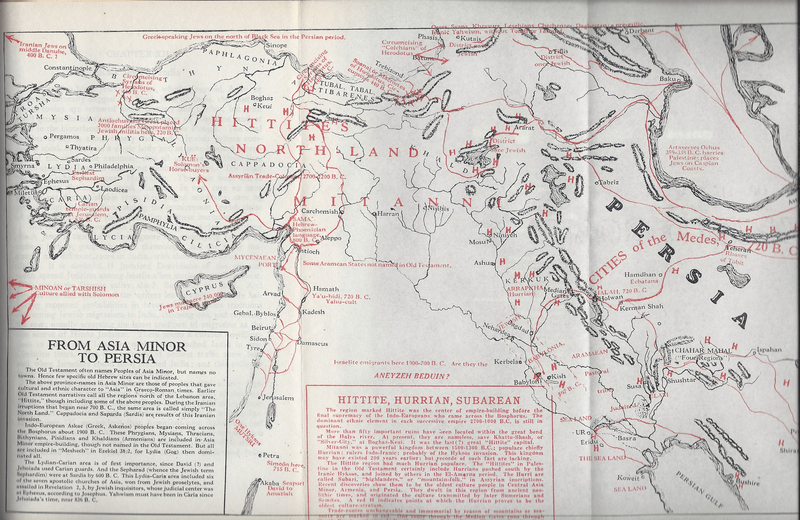 The 10 tribes of Israel migrated to Central Asia after the Assyrian captivity. 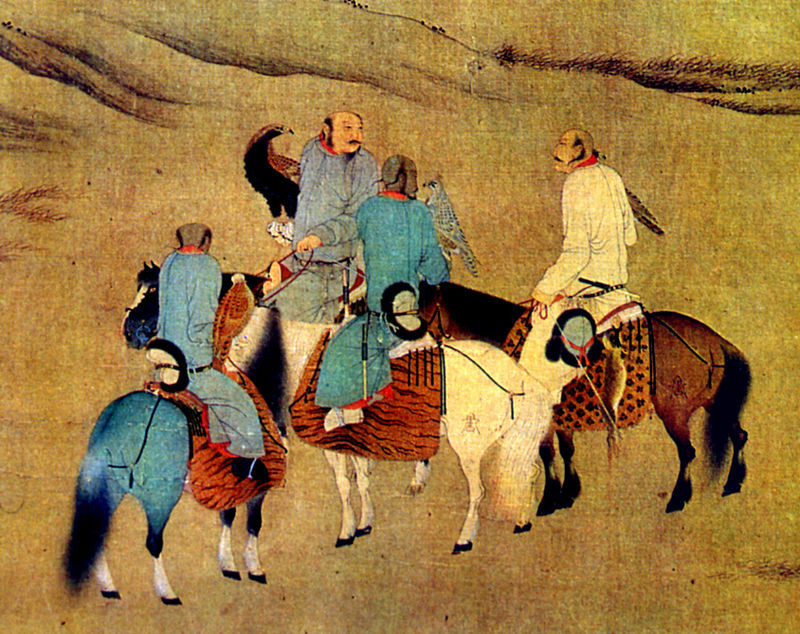 There they became known as the Scythians and travelled from western Europe to Japan, establishing colonies in every territory in between. 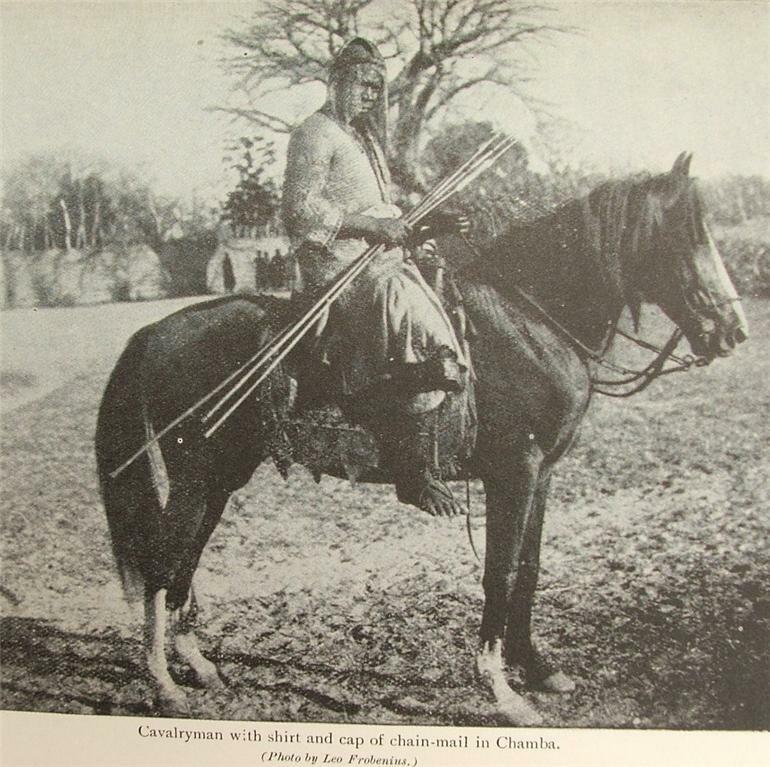 After the Assyrian and Babylonian captivities the Israelite were scattered into all corners of the Earth from Central Asia and they travelled on horseback, being known to modern history as Scythians, taking their customs into all the areas they travelled. 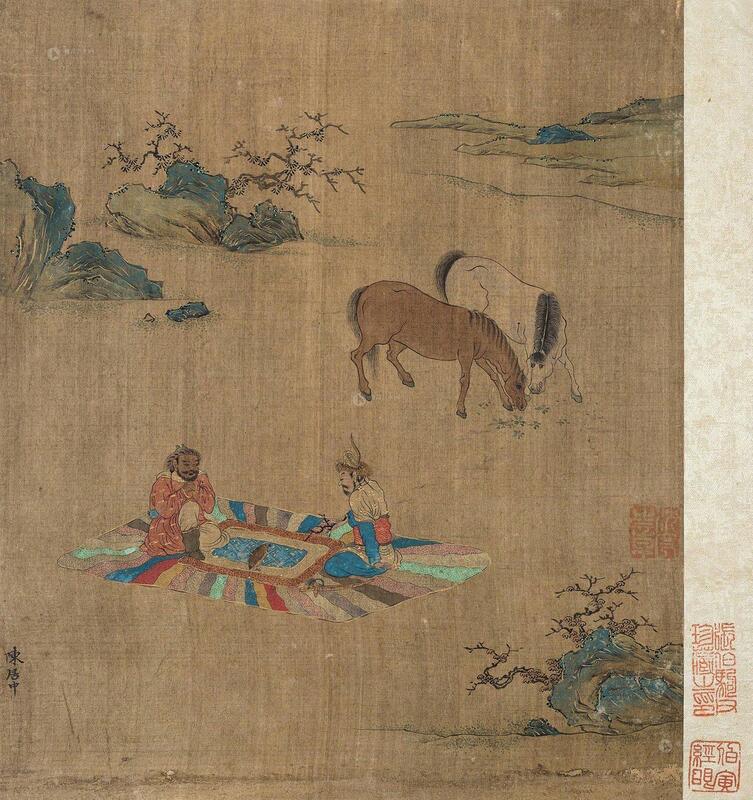 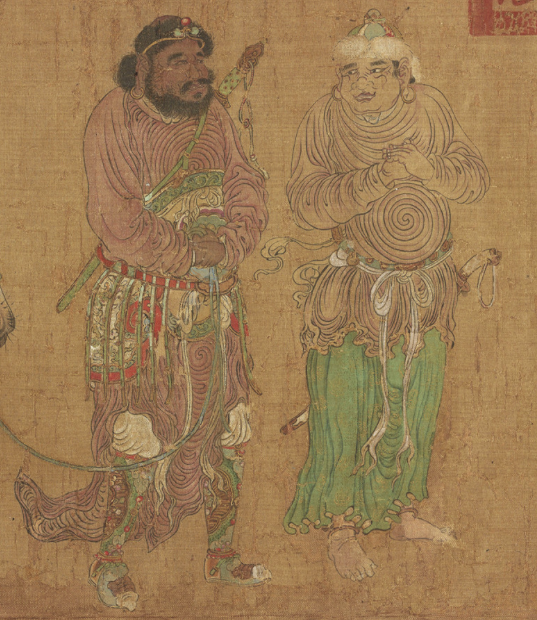 Scholars think even Xianbei and Silla was another Scythian related people which is also related to Xiongnu or Hunnic people in steppe country. 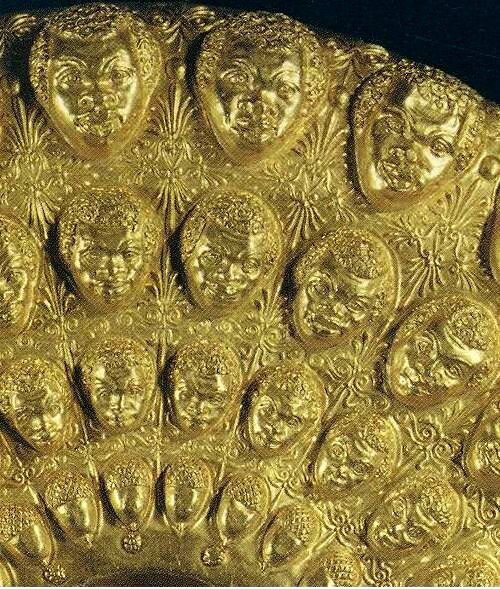 The similarity in the designs of the gold crowns of Korea’s Silla Kingdom in comparison to the designs of other golden crowns found in Central Asia’s steppe region and Eastern Europe can be attributed to the ancient Scythians. 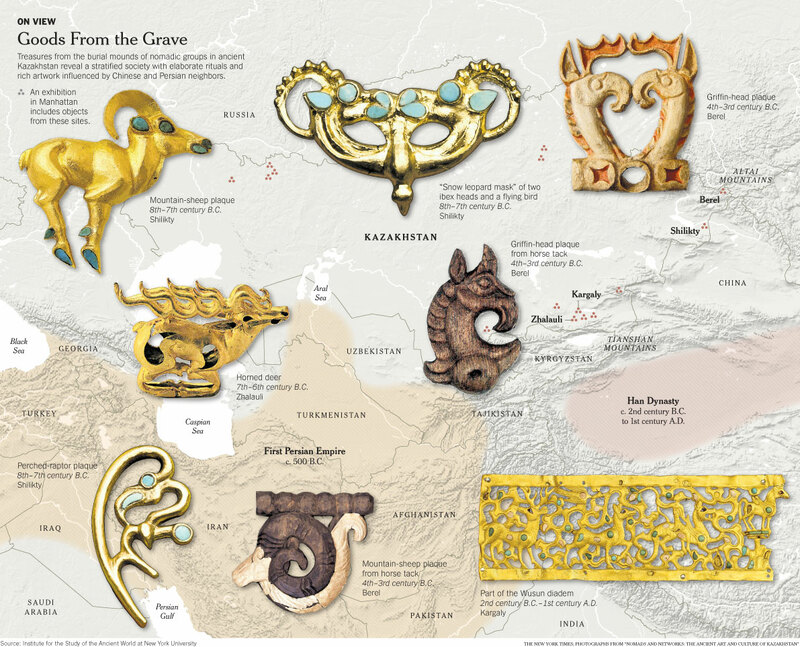 According to The Cambridge Ancient History, the Scythians were very good craftsman and excellent goldsmiths. 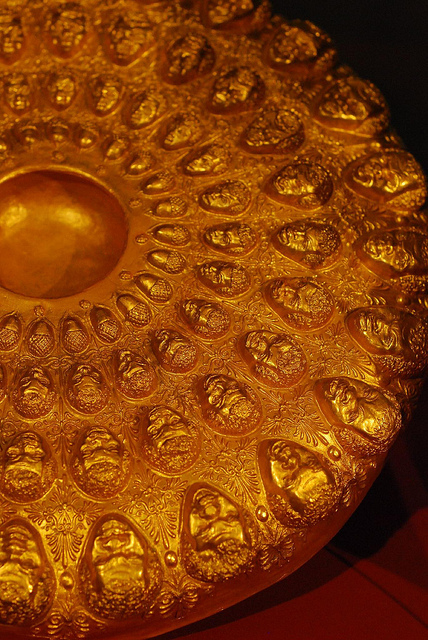 Here is five different Golden crowns of Asia. 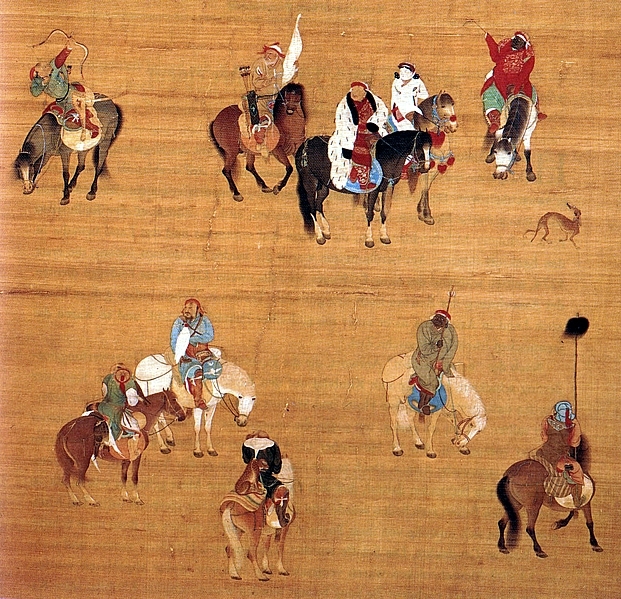 From far LFT: Russia (Sarmat-Scythia), Afghanistan (Tillya Tepe – Scythia), Kazakhstan (Saka-Scythia), Inner Mongolia (Xianbei), Korea (Silla). 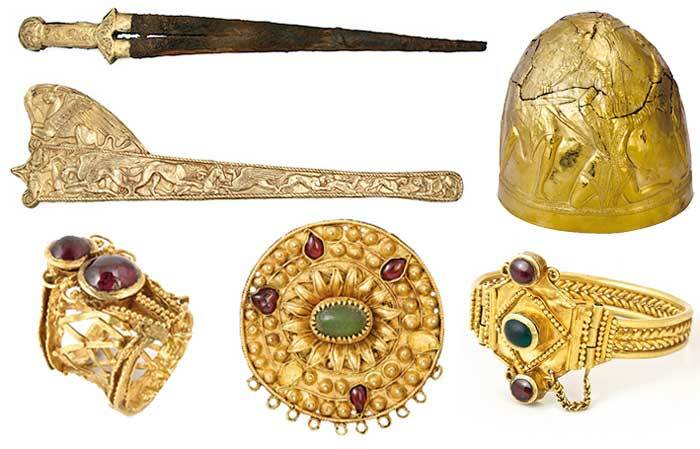 The skillfully decorated Panagyurishte Treasure of Thracia provides us some example of what the mixed group of Scythians and their craftsmanship looked like. 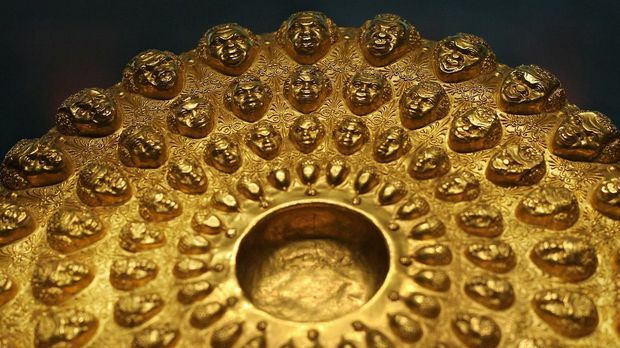 This style of metal-working and craftsmanship was made popular by the Israelite Scythians who wandered into all of the aforementioned regions of the world. 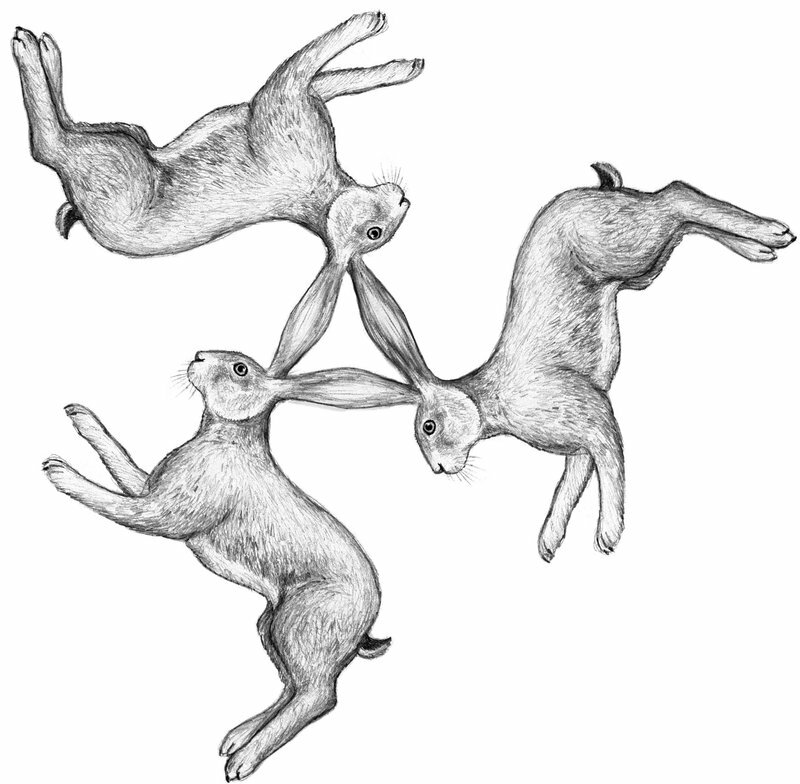 In fact, if we follow the triskelion symbol we can also follow the trails of Israel’s wanderings. 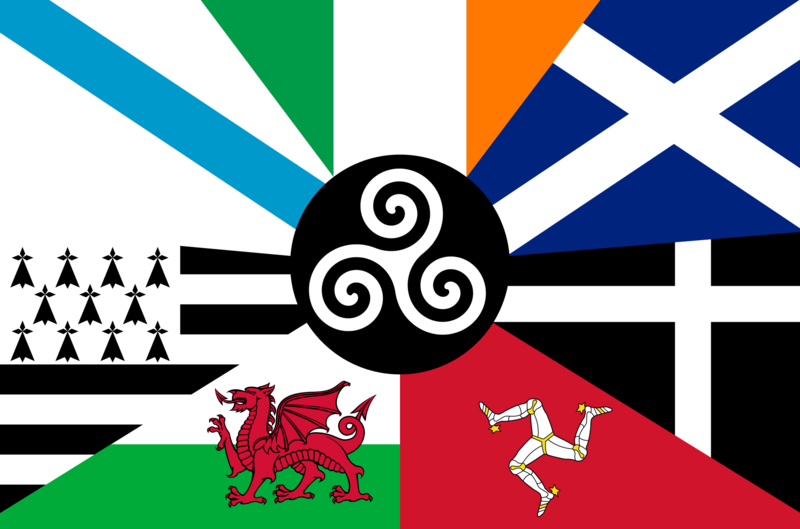 The triskelion symbol is found throughout the extent of the Old World; from the Far-East to the British Isles. 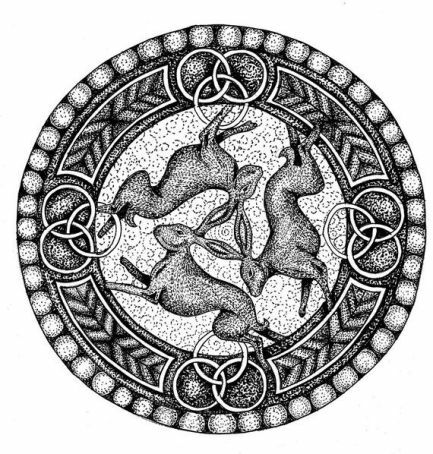 Another form of the triskelion symbol, known as the three hares, can be found throughout Europe, the Near-East and the Far-East. 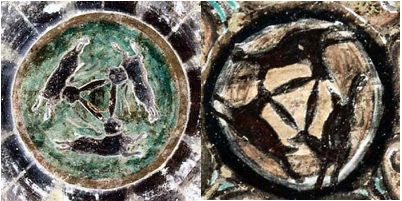 The Scythian artifact with triskelion symbol in the center (ABOVE LFT) is similar to the Triple Hair Symbol found in the Mogao Caves of Dunhuang, China (ABOVE RIGHT) as well as the Panagyurishte treasure of Thracia (BELOW). 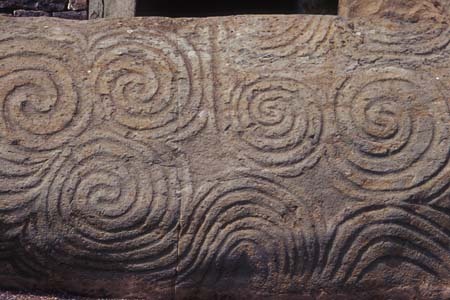 Triskelion and spirals on a Galician torc terminal (Museu do castro de Santa Tegra). 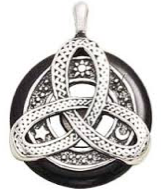 LFT: Central triskelion surrounded by three triskelions on Celtic enamel ornament from Derbyshire, CENTER: Silver object from Saint Ninian’s Isle Treasure, Shetland, RT: Irish metalwork showing interleaved triskelions, second century A.D. 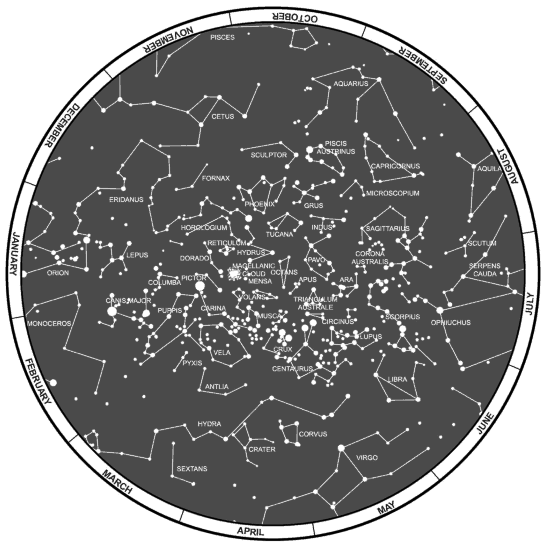 The Circle of Sidin is considered to be the circle of the zodiac, known to the ancient Hebrew Israelites as the Mazzaroth H4216 (Job 38:32), could represent the three elements of Sun, Moon, and Stars or Sun, Moon and Earth. 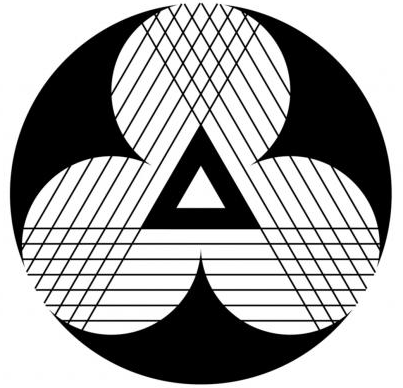 The Trefoil symbol ABOVE reconnects to Korea. 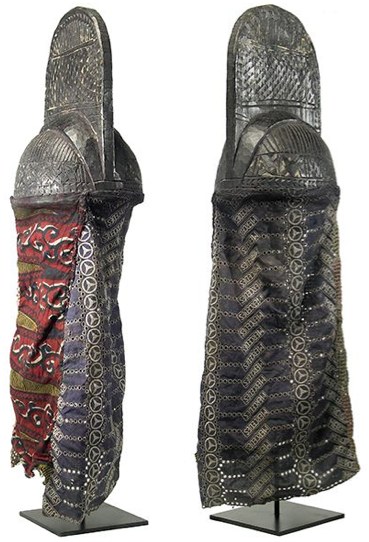 The Trefoil ring pommel of an iron Korean straight sword BELOW. 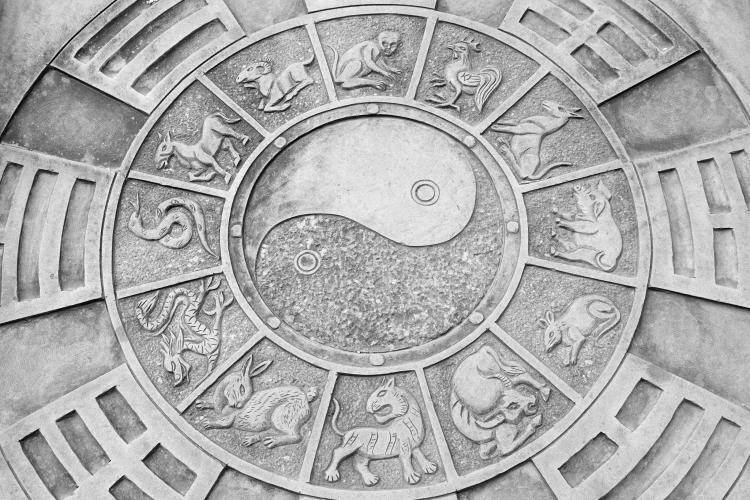 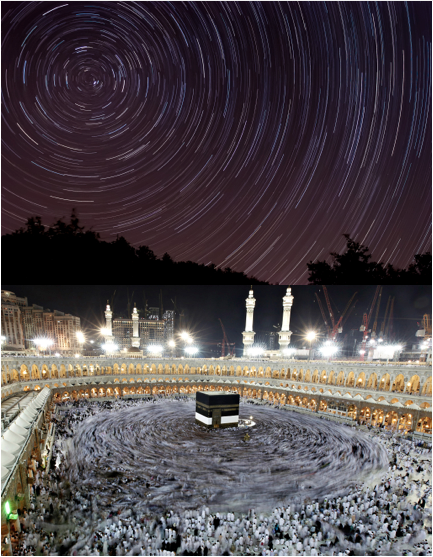 The hour and minute hands of the watch/clock represent the Sun and Moon respectively while the second hand can be thought to represent the infinite stars of the Great Circle of Heaven that rotates above the circle of earth, influencing all life upon it. 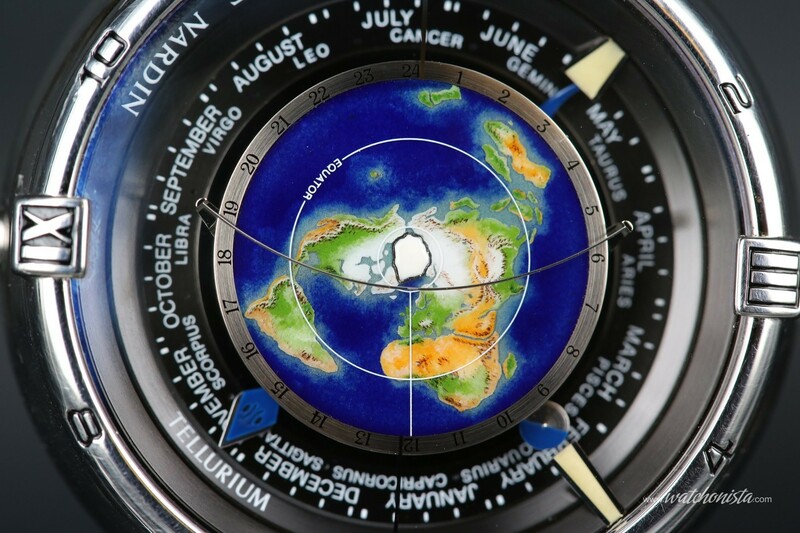 The Hublot Neo-Antikythera watch is another example of an earth centered cosmos being encircled by the Circle of Sidin’s three elements of Sun, Moon & Stars. 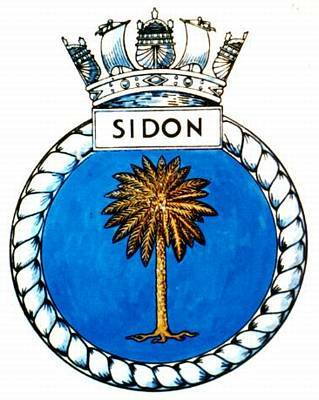 The luminary worship of Sun, Moon, and Stars above the Earth inferred by the triskelion symbol and the name ‘Sidin’ in the “Circle of Sidin/Caer Sidin” both recall the ancient Phoenicians and their city Sidon. 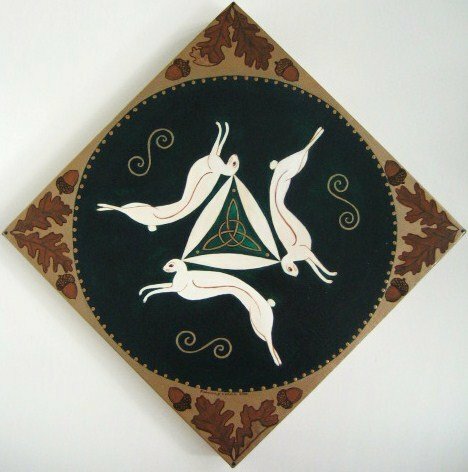 In speaking of the Phoenician town Sidon and its relation to the Circle of Sidin triskelion, we can find strong support for the association between the Celtic triskelion/triquetra and the Buddhist three-hares symbol when we review the observations of the scholar and Druid priest Godfrey Higgins. 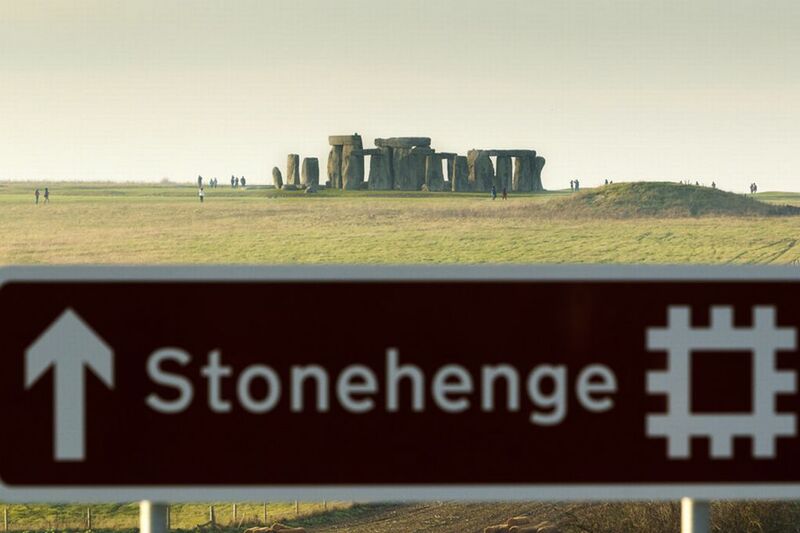 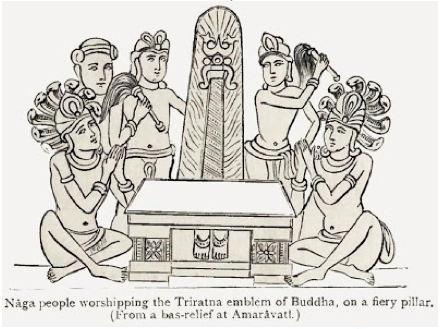 According to his research compiled in his book Anacalypsis, Higgins stated that the Buddhist were actually black Jews (Israelites) from India, having Sidon as their capital, that traveled across the whole world and established Stonehenge, the great druidic temple, as a monument to the black Buddhist god. 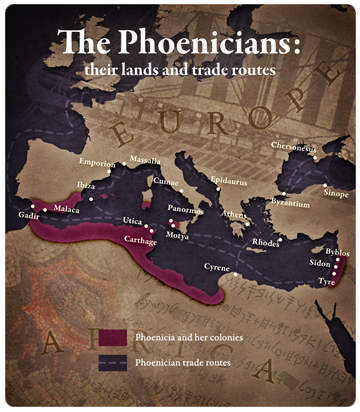 The original Phoenicians were a dark skinned people and the term ‘Punic,’ derived from ‘Poenicus,’ was used to describe the inhabitants of North African Phoenician colonies. 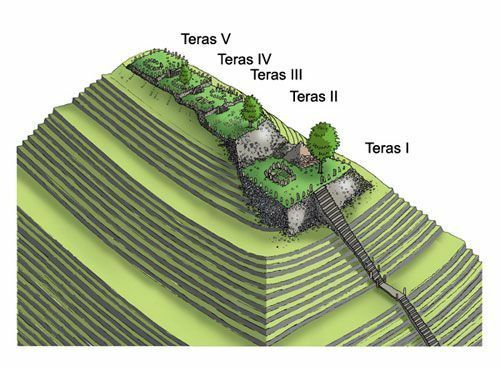 We can find even more evidence in support of the relation between the Celts and Scythians when we examine certain archaeological discoveries. 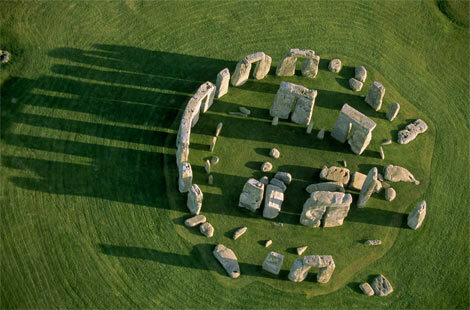 These archaeological discoveries also support the previous quotes taken from the research of scholars that also associated the Buddhist Israelite-Scythians to the Celts/Druids. 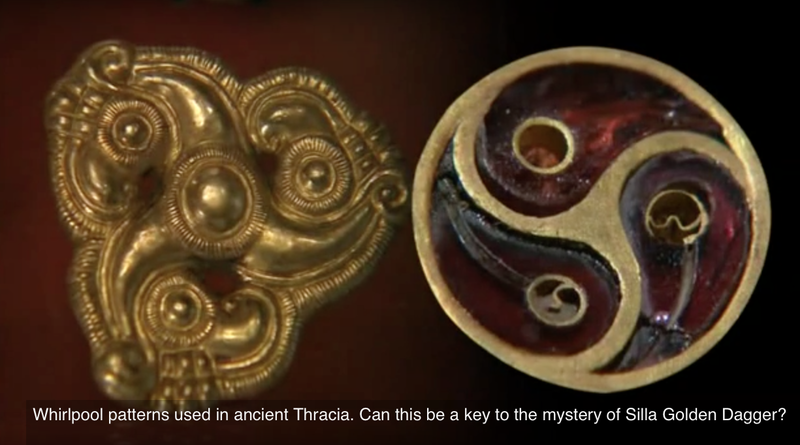 We will also discover clear associations between the Celts, Scythians, and the Thracians of the Black Sea area that were spoken of in the Korean documentary video. 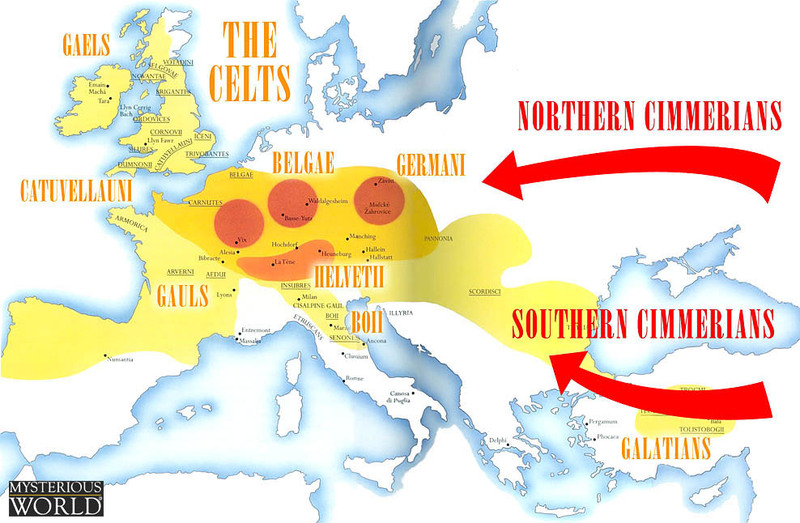 The previous article also mentioned the vast trade network and interaction between Celts and Scythians. 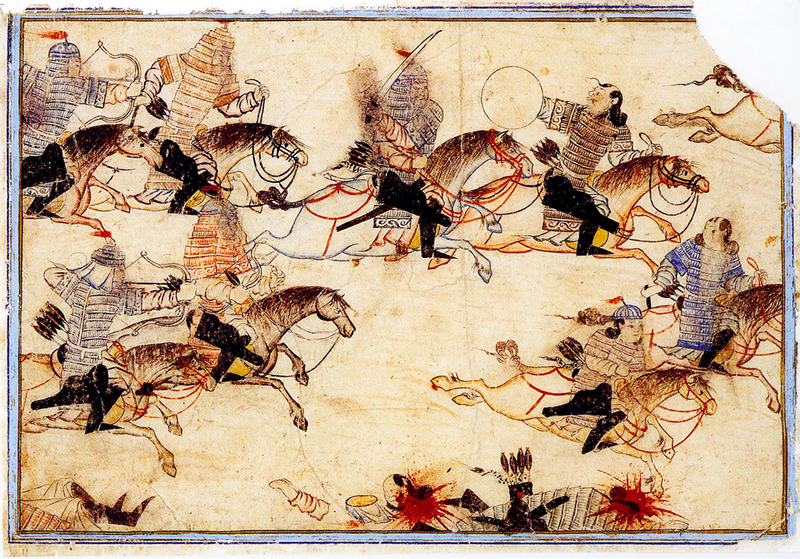 This interaction between distant groups across Europe and Asia was made possible by the Scythians special breed of horses (known as the ‘Heavenly/Flying Horses’) of Central Asia. 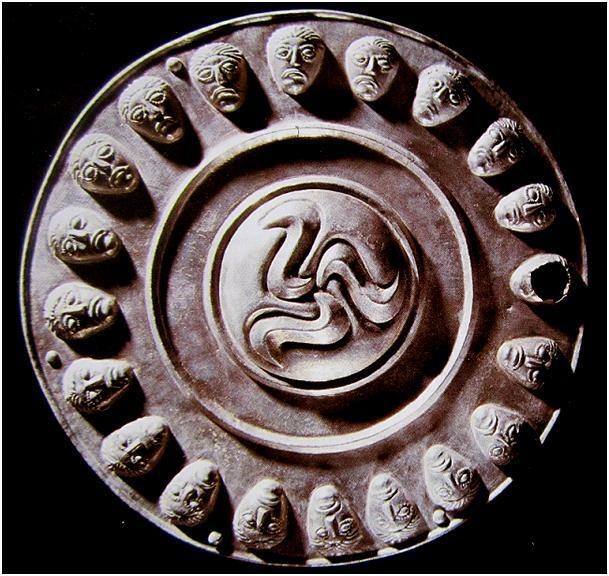 Compare the Hallstatt Celto-Scythian memes of triskelion to Korean, Japanese and Chinese triskelion and tomoe symbols. 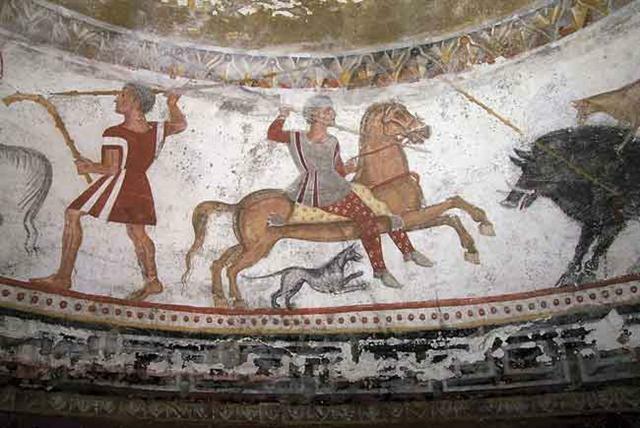 The Thracians were similar to the Mongols, the proto-Bulgarians and the Tartars, who were excellent at keeping horses. 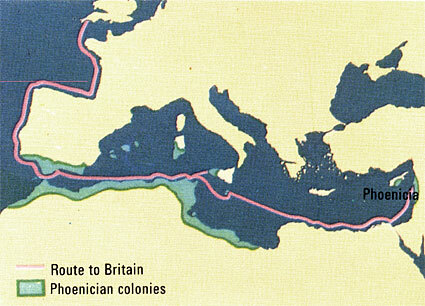 Note the Phoenician trade routes by sea and the Scythian overland routes both met in the British Isles and certainly in other locations as well.Note the Phoenician trade routes by sea and the Scythian overland routes both met in the British Isles and certainly in other locations as well. 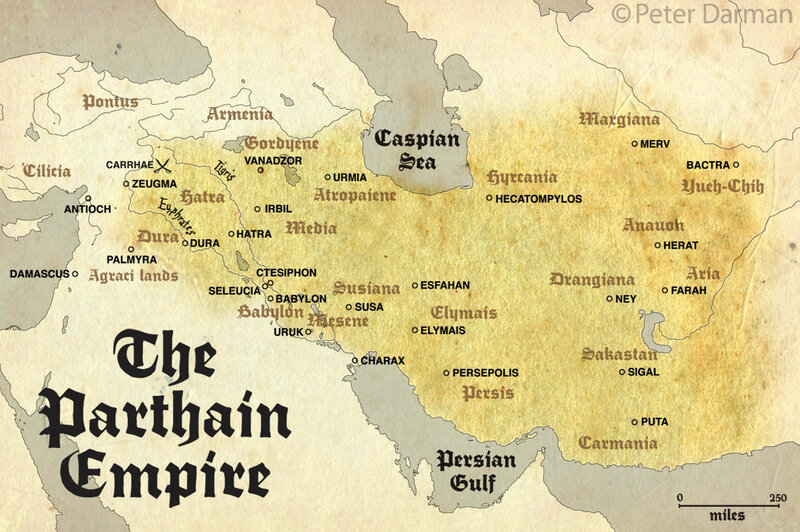 If Scythians were Celts and Jews that built temples from Indian to Britain, yet they brought stone masonry and stones from Africa, would that not make the Scythians also present in Africa? 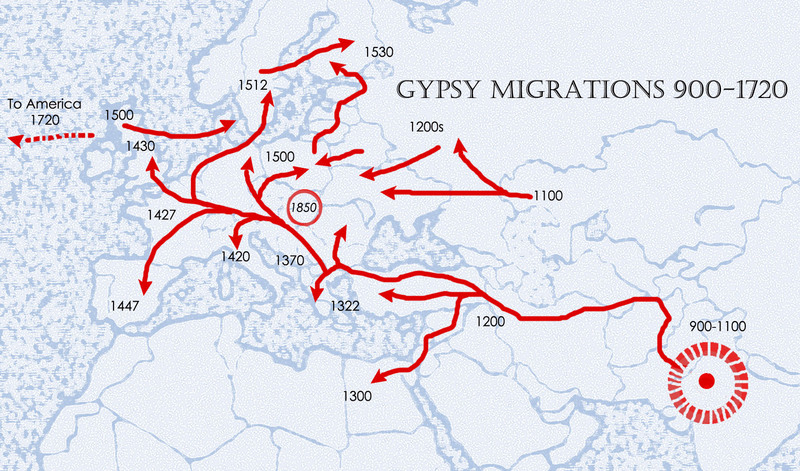 The historical records of the Punic/Phoenicians provide evidence of the Scythians (labeled as Armenians and Persians) migration into North Africa and Spain while the Celto-Scythian triskelion symbol, again, may also help in supporting that evidence. 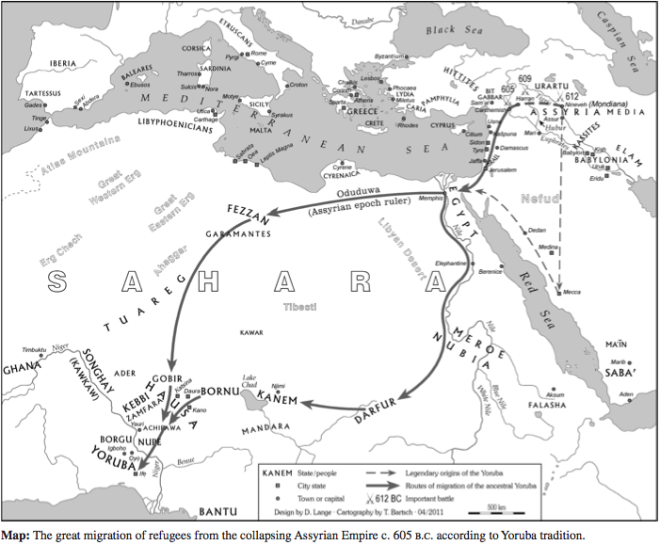 The following Punic records also supports the Yoruba traditional record of the Assyrian-Scythian (Israelite) refugees fleeing into Africa after the Battle of Carchemish. 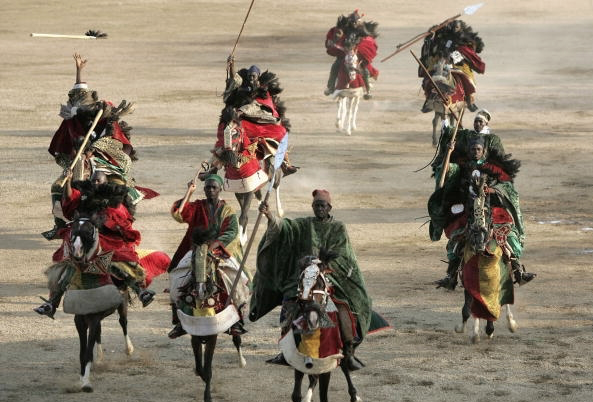 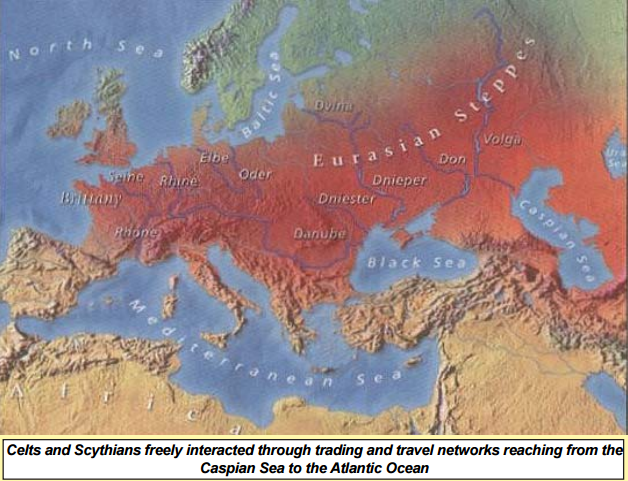 It is also said that Scythians of the Black/Euxine Sea also freely travelled into Africa. 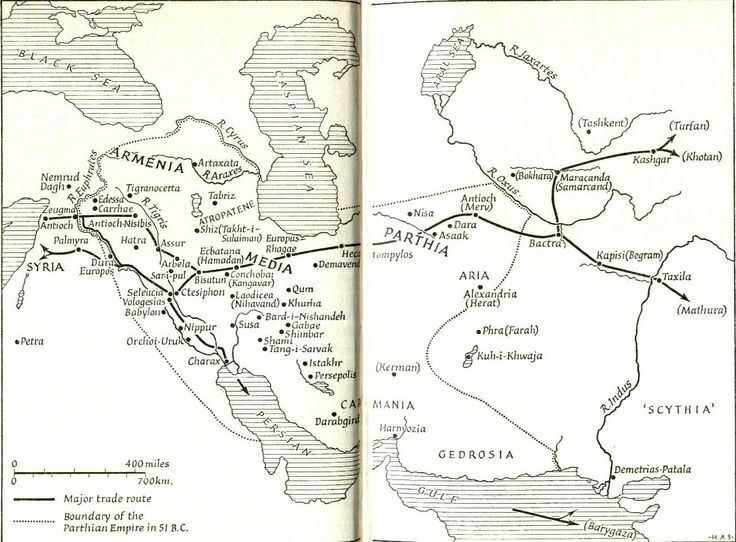 ABOVE: The Persian (Sassanid) and Armenian expedition, from between the Euxine/Black and Caspian Seas, into Europe and down into Africa through Egypt. 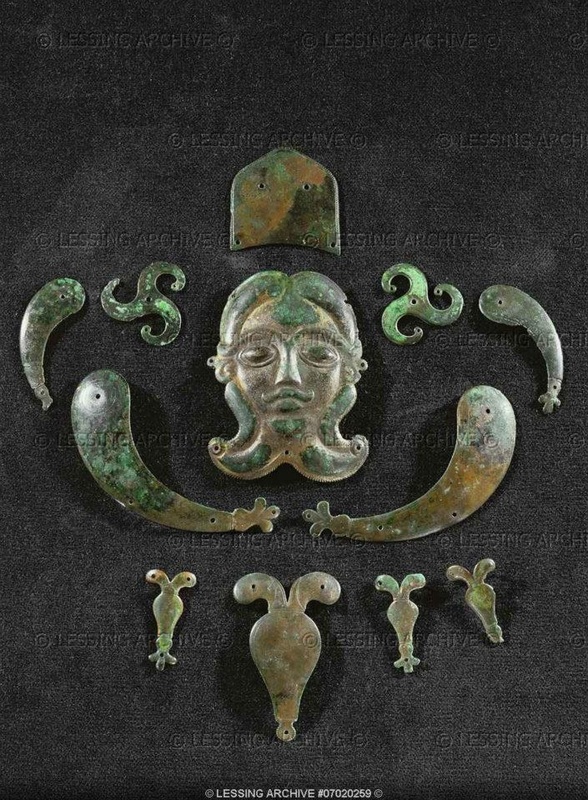 Beyond the Punic-Phoenician history of Asiatics colonizing Africa and Spain the trinity-triskelion symbol provides further evidence to trace the Scythians into the interior of Africa as claimed by Yoruba traditional history. 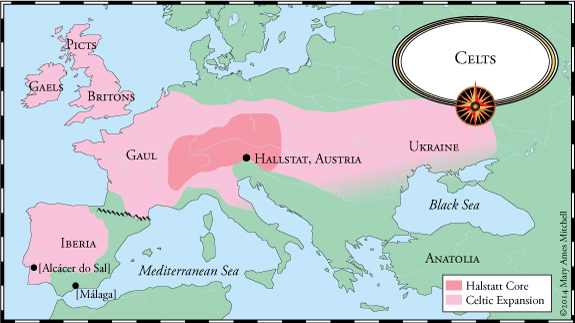 Compare the ABOVE Dacian bracelet design to the Berber “Yaz” symbol. 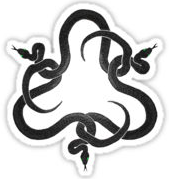 They are almost identical and both seem to refer to a ‘trinity’ like the triskelion. 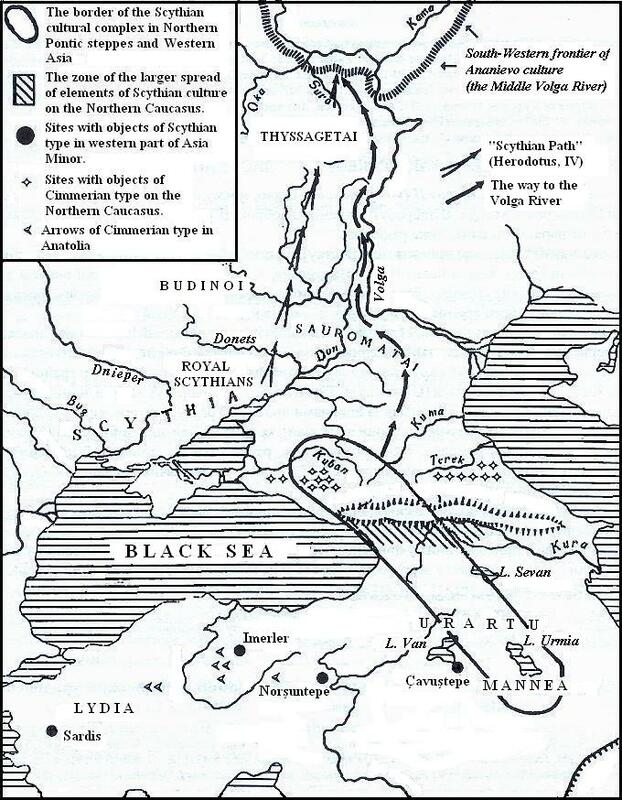 The Dacians were a northern branch of Thracians whom Thucydides, an ancient Athenian historian, said neighbored the Scythians and were armed in the same manner. 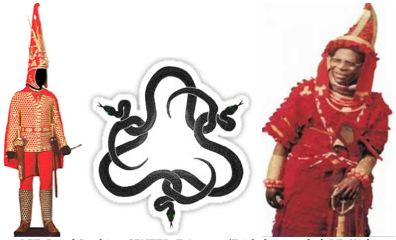 Compare the ABOVE West African Adrinka symbol of endurance (Hye Won Hye) to the previous Dacian bracelet design and Berber “Yaz” Symbol. 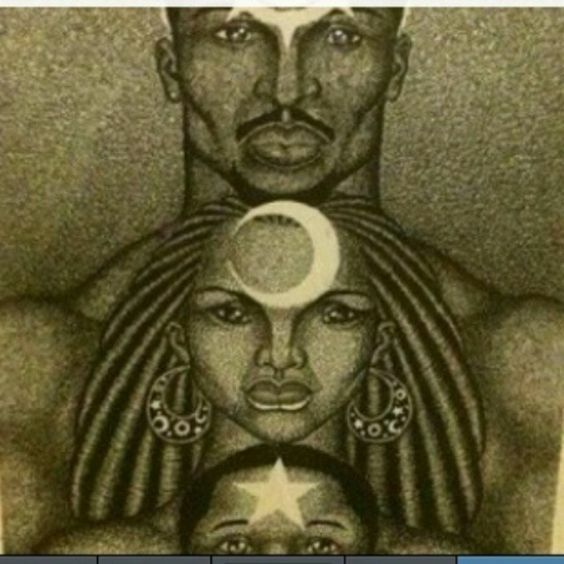 The symbols are almost identical and we are discovering that branches of a root people have taken this symbol, and other related trinity symbols, to all the locations they migrated to. 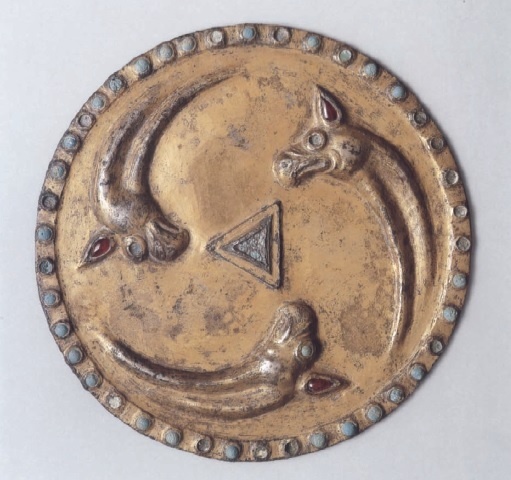 The Triskelion symbol found on Kelto-Scythian monuments and artifacts actually has origins in Central Asia/the Near-East. 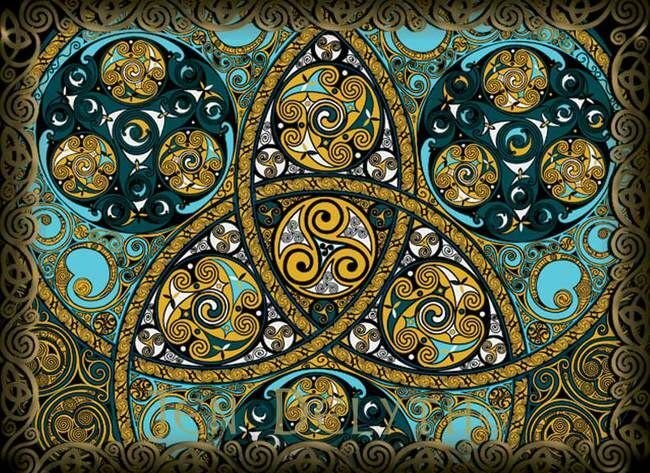 The Trefoil, Triskelion, Triquetra, Trinity and its related symbols are found all over the Eurasian continent as well as in Africa. 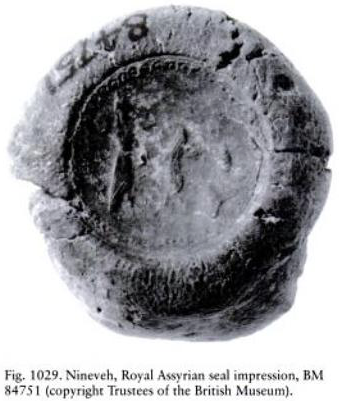 The various locations where we find these symbols help to further establish the presence of Israelites in those same locations. 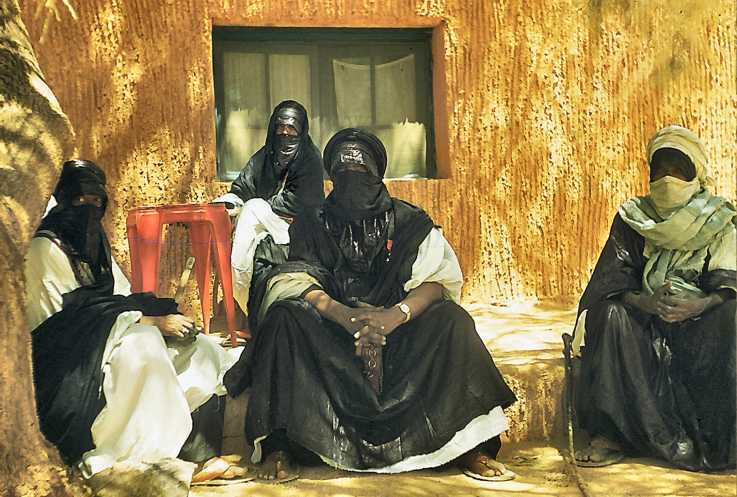 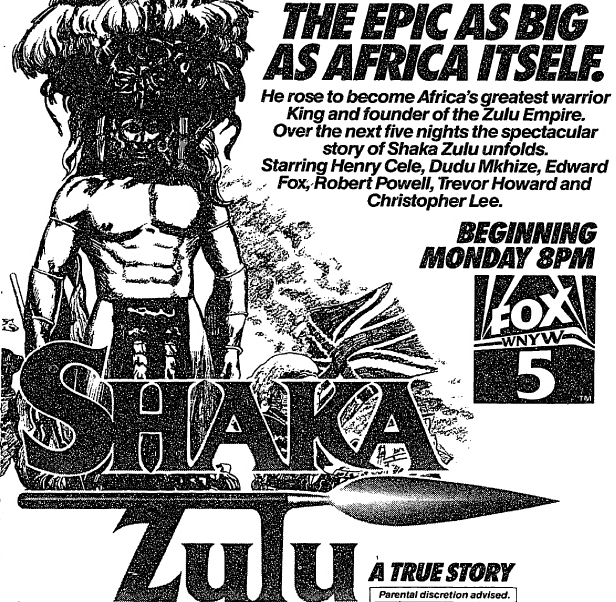 Not only were the ancient Israelites referred to by the byword of “SAKA” but some tribes of Israelite descent in Africa are also referred to as “SAKA”. 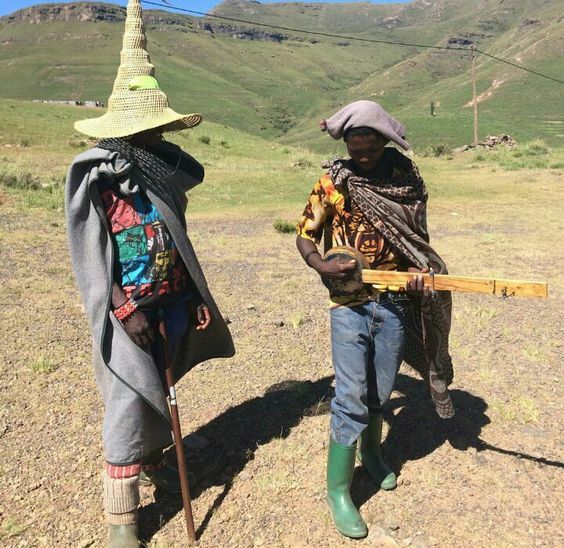 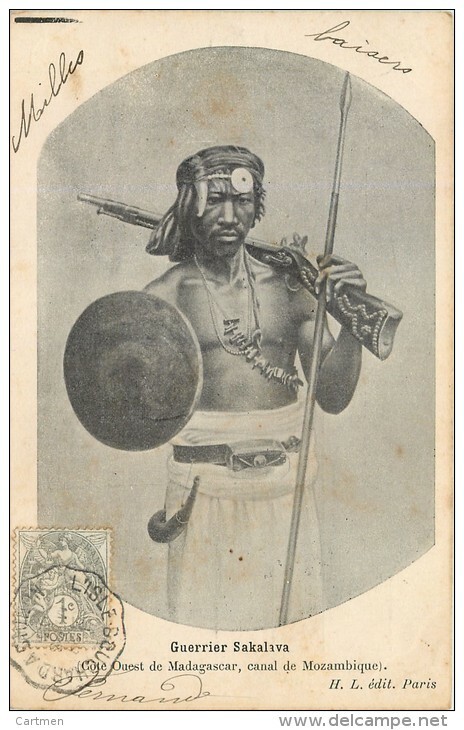 According to a particular ethno-historical dictionary titled, The Peoples of Africa, there are at least three different people groups that contain the name Saka in reference to their nation; the Saka & Sakata people of central Zaire and the Sakalava people of Madagascar. 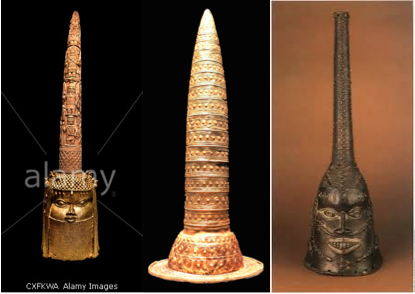 Could this be a coincidence or actually a product of the migration of Israelites, identified as Scythians/Phoenicians/Persians/Armenians, into Africa from the Middle East, Mediterranean and Balkans regions? 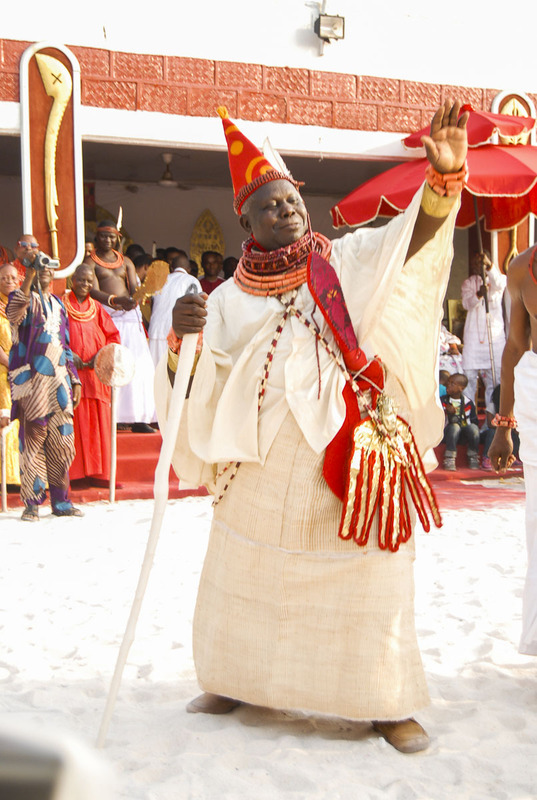 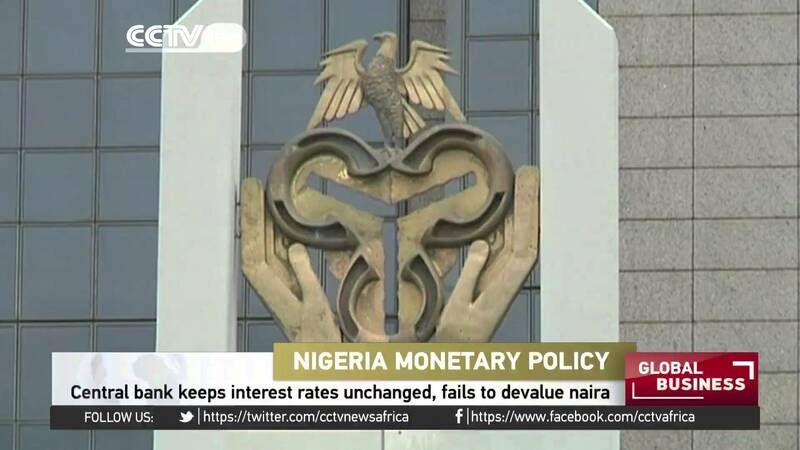 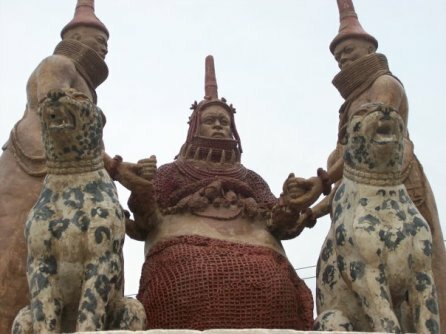 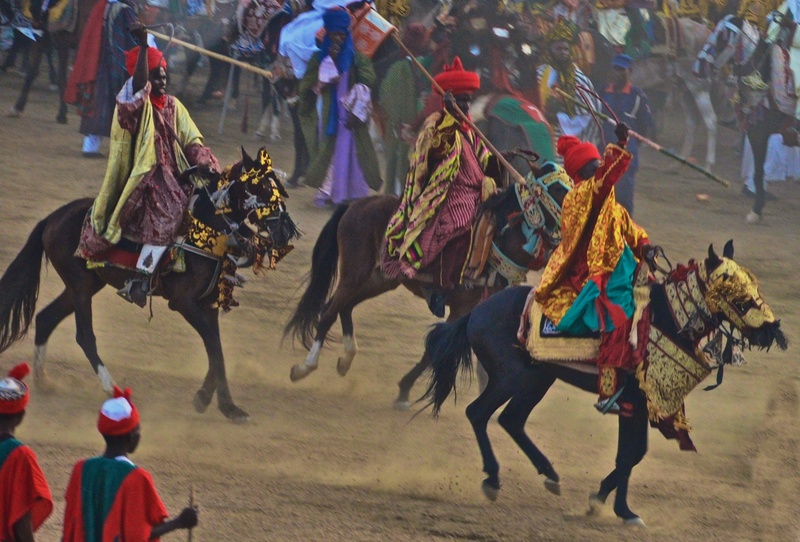 The histories recorded by the previously quoted authors have agreed with the latter as well as that of Professor Dierk Lange concerning the origins of the Yoruba-Oyo Nigerians. 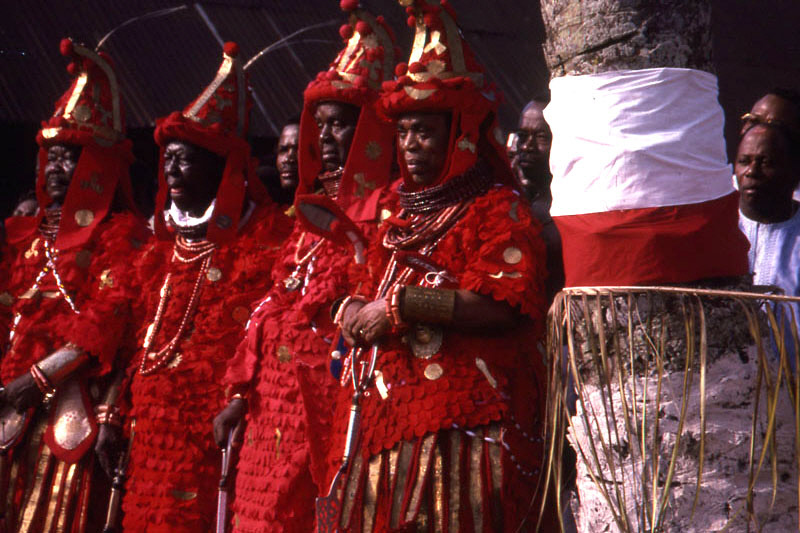 LFT: Royal Scythian, CENTER: Triquetra/Triskelion symbol, RT: High Ranking Chief of Benin/Nigerian military aristocracy wearing the triquetra symbol. 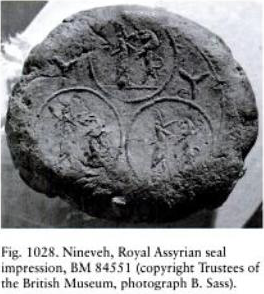 BELOW: The Assyrian Royal Seal with a Lion above a triquetra. 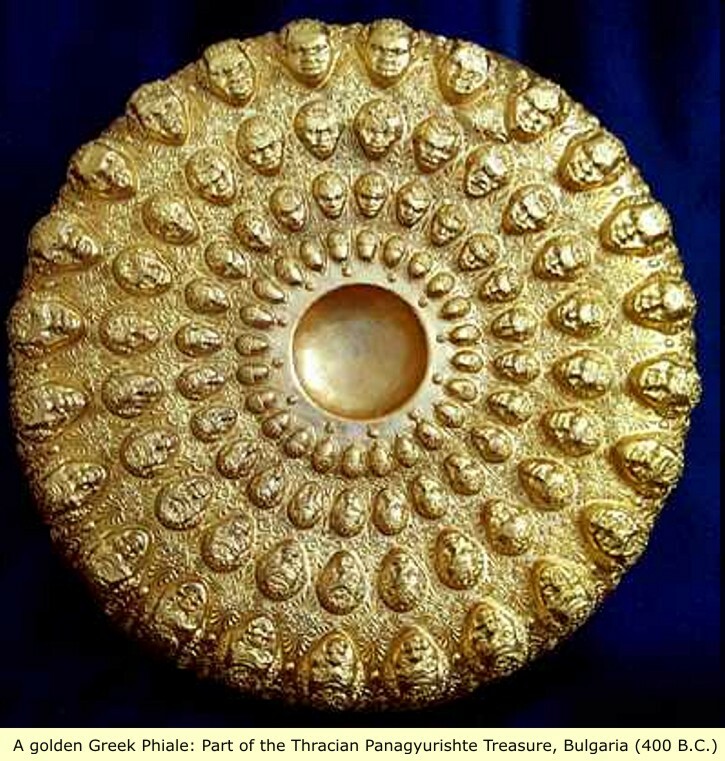 LFT: This Indian BC sculpture presents as the back side of the above coin the Buddhist trinity or three jewels, Tri-rat-nas: The Buddha, the Sangha and the Dharma. 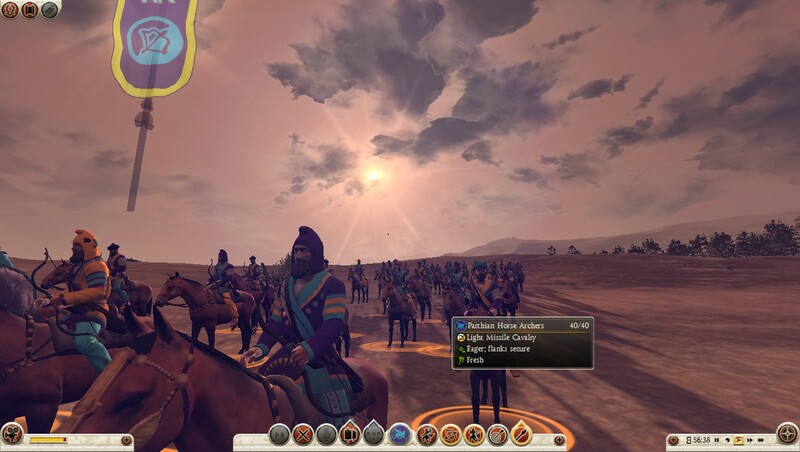 Ashoka’s wheel is also visible. 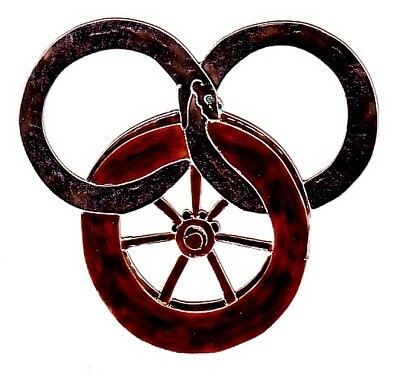 The fact that the triskelion symbol originated in the Near East/Levant is very important in relation to the Scythic/Celtic presence across the old world because it supports the fact that the Israelites were indeed Scythians (nomadic peoples) who adopted the culture and religion of the Assyrian nation that took them captive. 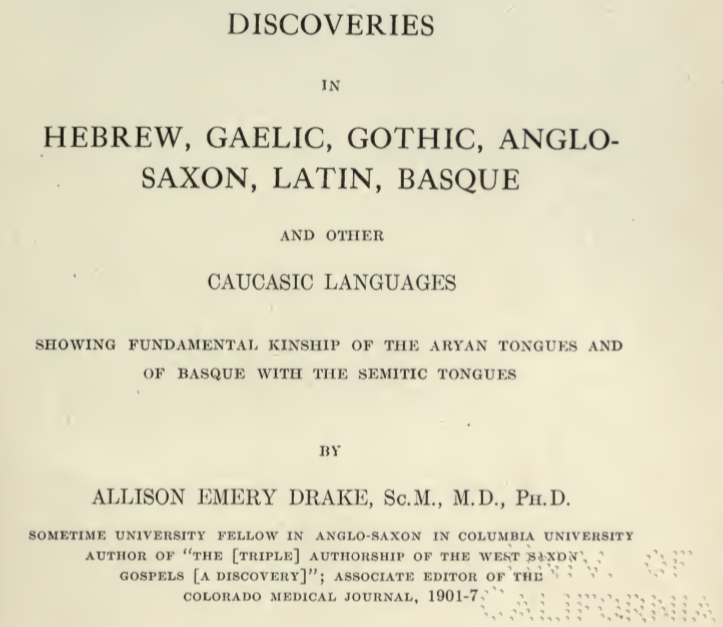 More specifically, the triskelion symbol helps to support the assertion that the Nigerian Yoruba people are indeed Israelites, who were given the misnomer of Scythians or Asiatics (among many other names and bywords), who migrated to West Africa from Assyria, as stated by their traditional history and the research of German professor Dierk Lange. 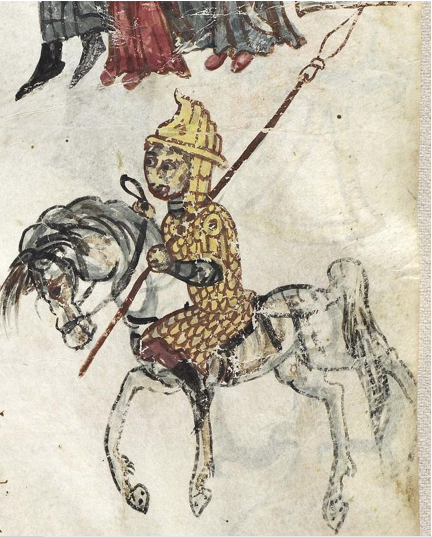 From LFT to RT: The triquetra on the helmet of the Chief above, the Royal Assyrian seal with lion and triquetra and the triquetra symbol found on the back of the Chief below. 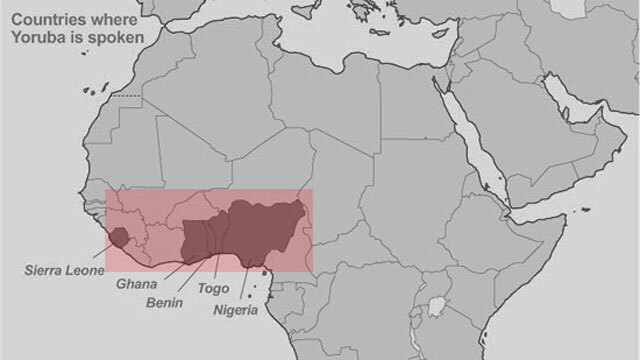 According to the Yoruba history and the research of Dierk Lange, many of the Israelites under Assyrian control left Assyria and the Near East region to migrate to West Africa in 605 B.C. 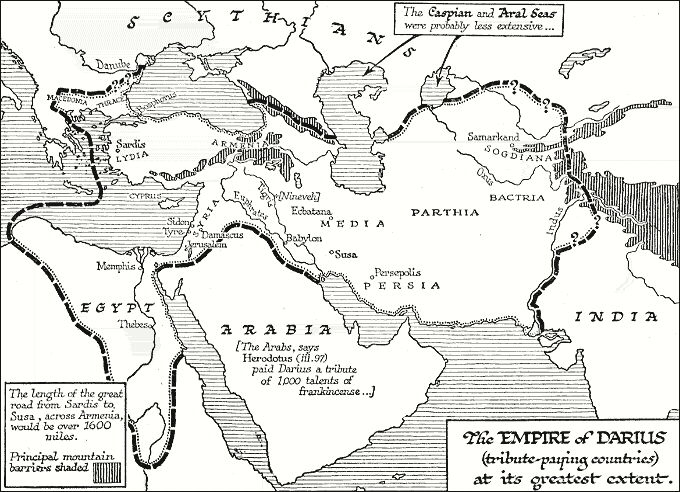 What caused the Assyrian empire to collapse which in turn caused the migration of Israelite refugees? 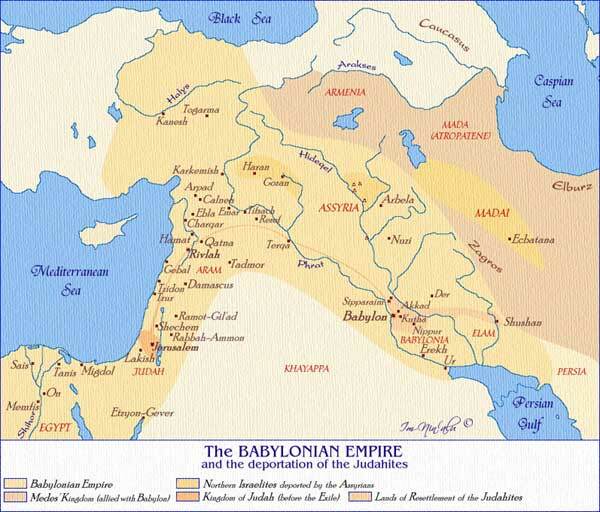 The Babylonian conquest of the Assyria Empire! 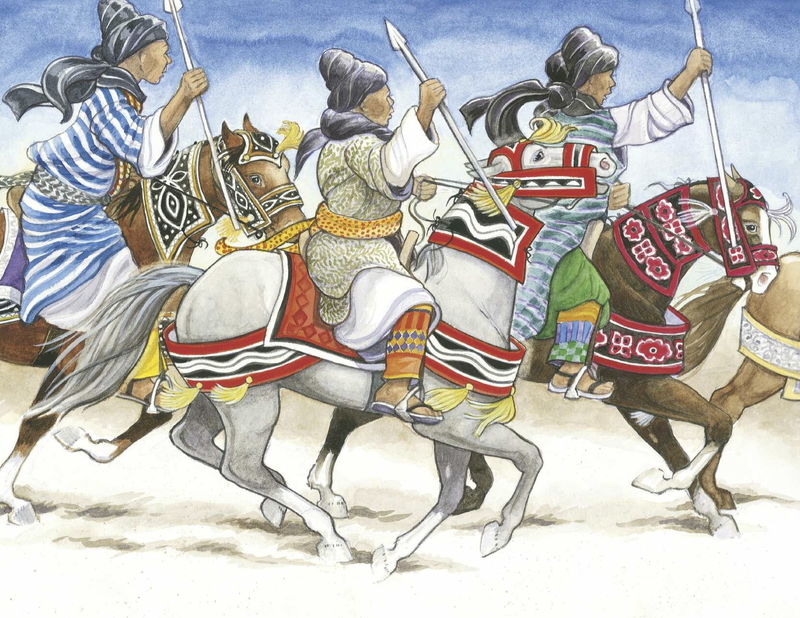 At the same time of the great migration of Israelite refugees from Assyria into West Africa, dated at 605 BC, the Battle of Carchemish was occurring. 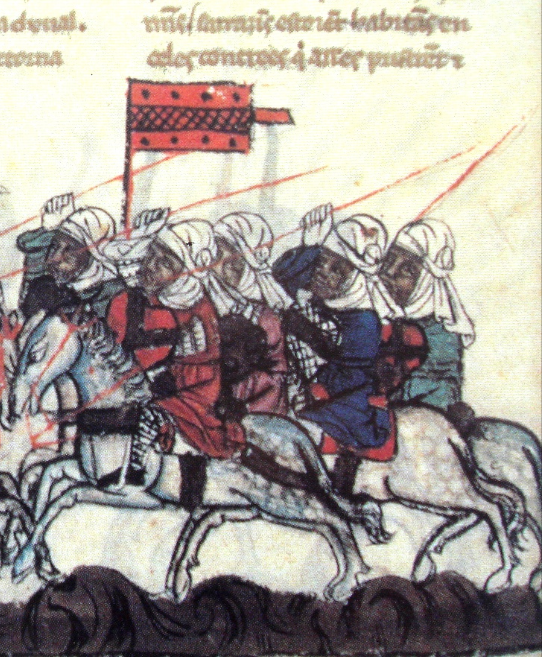 The battle of Carchemish was indeed a prime reason for Israelites to escape Assyrian captivity and the subsequent Babylonian captivity. 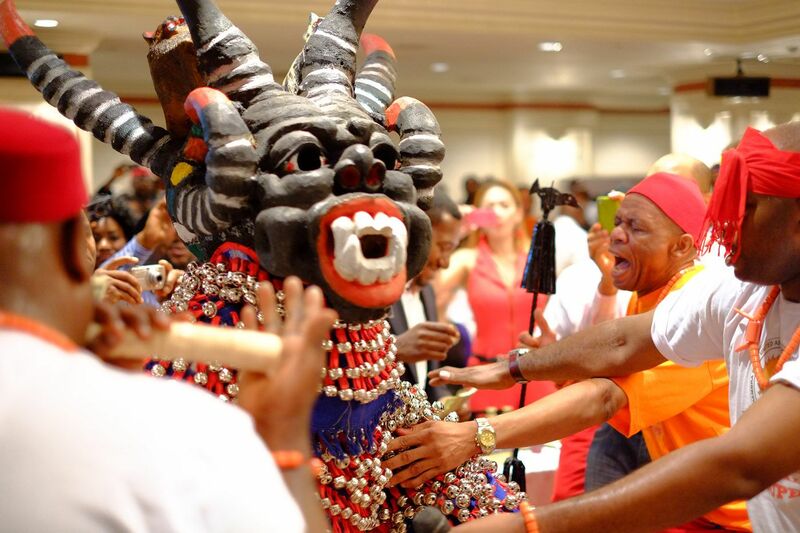 Many of the Israelites, who were already removed from the land of Israel by the Assyrians for adopting the practice of paganism, also brought with them those same Assyrian pagan customs, culture and religious practices into West Africa. 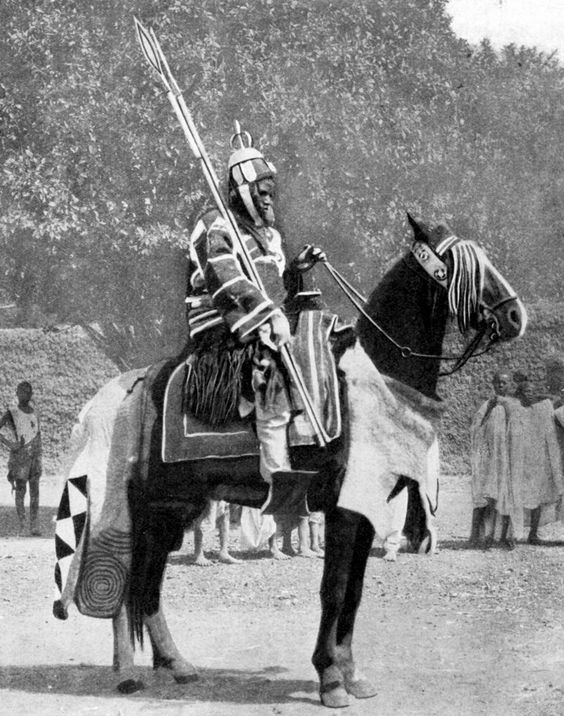 As a result, we can find many similarities between the peoples of West Africa and the Israelites of the Near East who were called Scythians (among many other names). 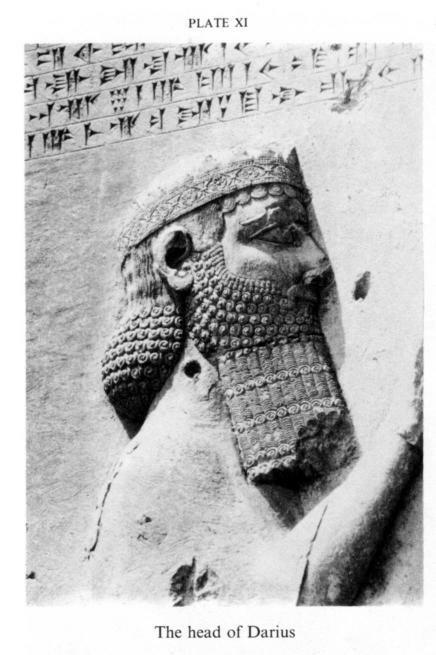 An artifact known as the Behistun Rock will help us to better understand these similarities between the West African migration of Assyrian refugees and the Israelites of the Near East. 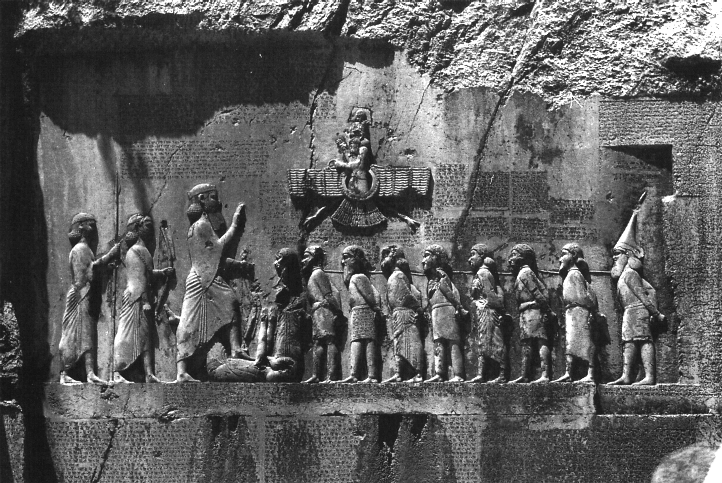 The inscriptions on the famous Behistun Rock in Persia, were first investigated last century by Sir Henry Rawlinson. 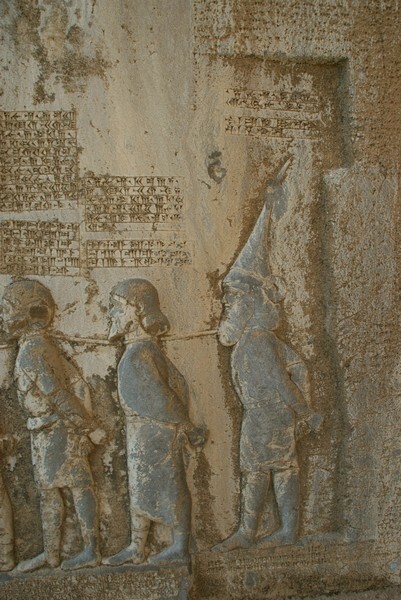 The translation of these inscriptions provides an amazing link between the lost ten tribes of Israel and the captive figures depicted on the Behistun Rock relief. 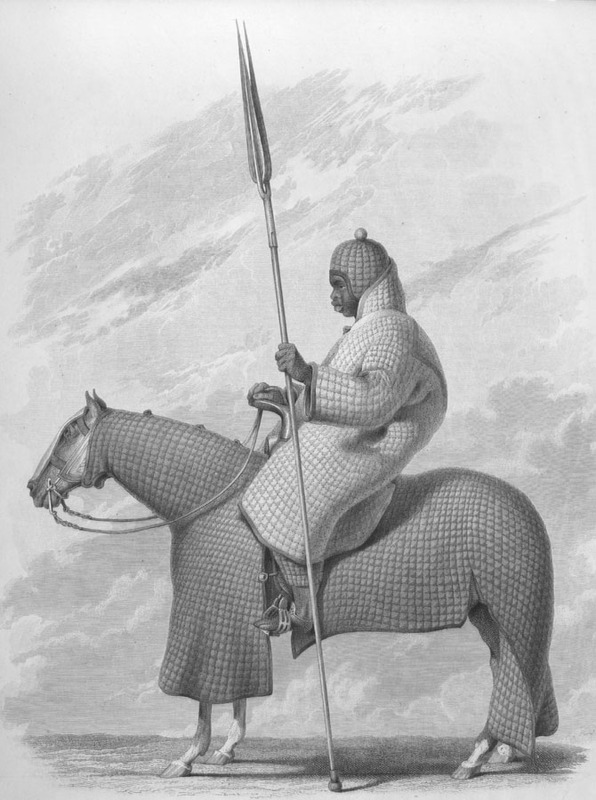 However, before we examine the translation of the text upon the Behistun Rock, I believe that a review of the observations of the Scottish author, artist, diplomat and traveller, Sir Robert Ker Porter. 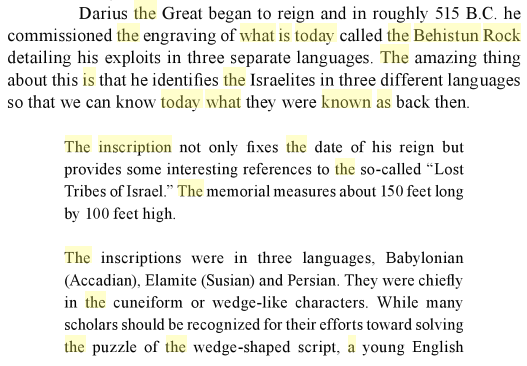 The observations of Sir Robert Ker Porter that led him to intuitively identify the captive figures depicted upon the bas-relief as captive Israelites were found to be quite accurate after he cuneiform text by each figure were translated. 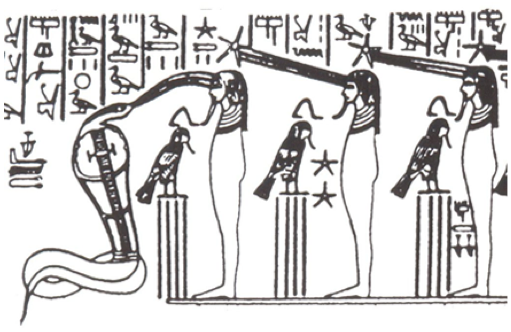 Near each of the figures depicted in the bas-relief is an inscription that gives us information concerning who and what we see being depicted.